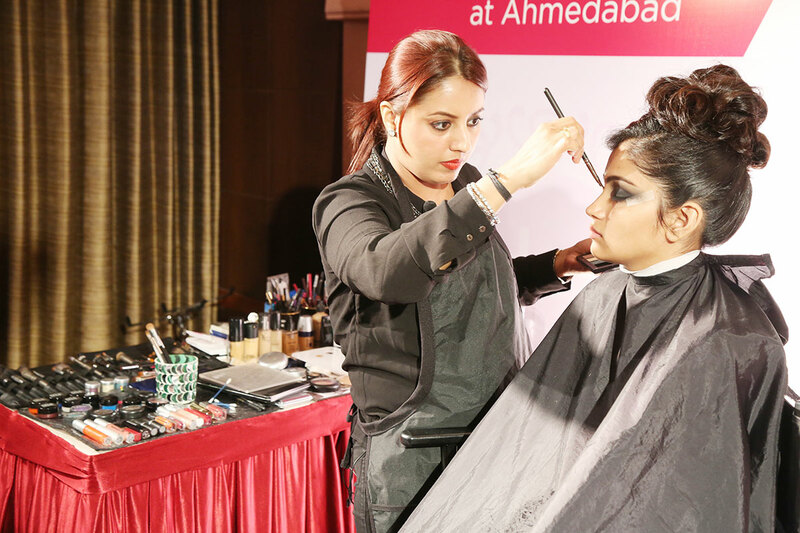 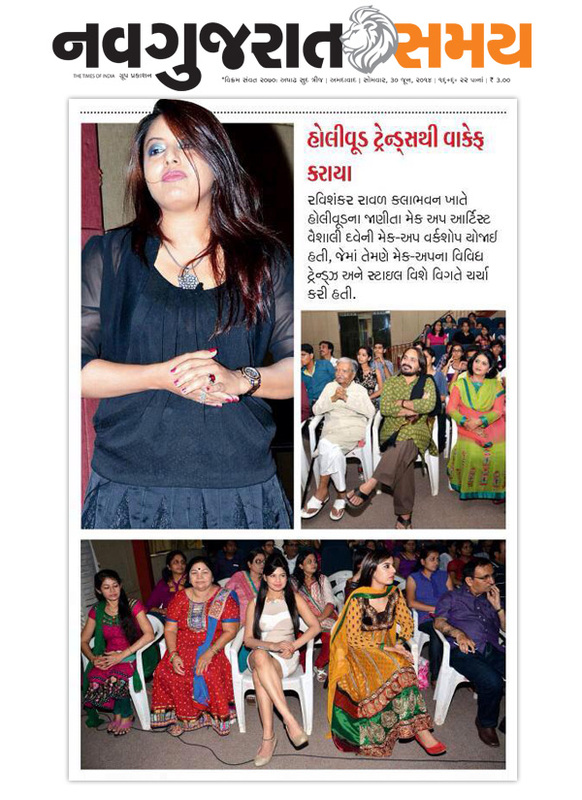 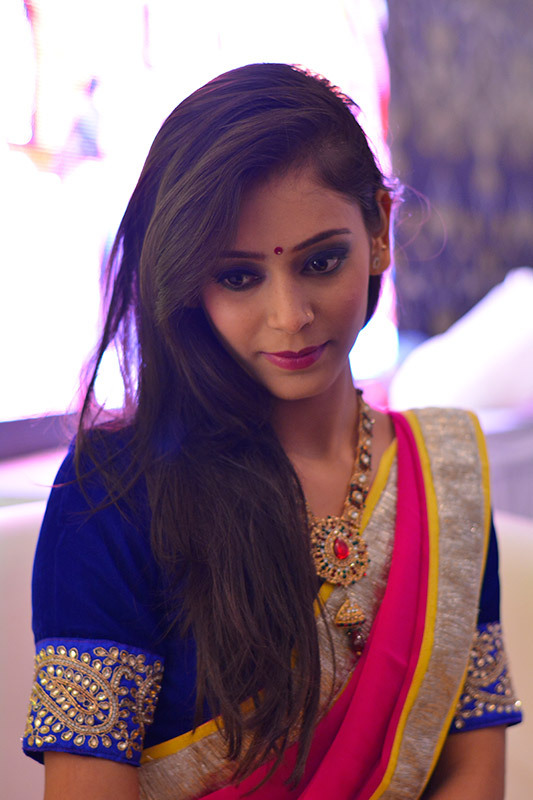 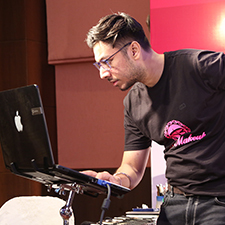 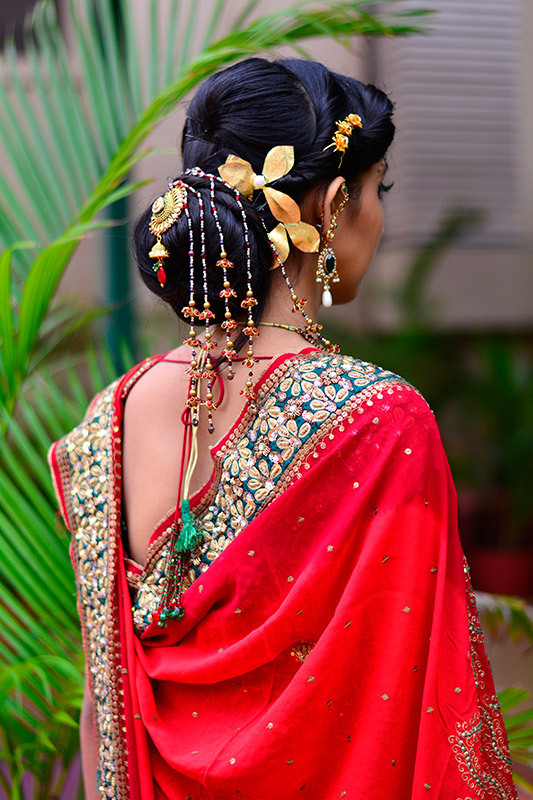 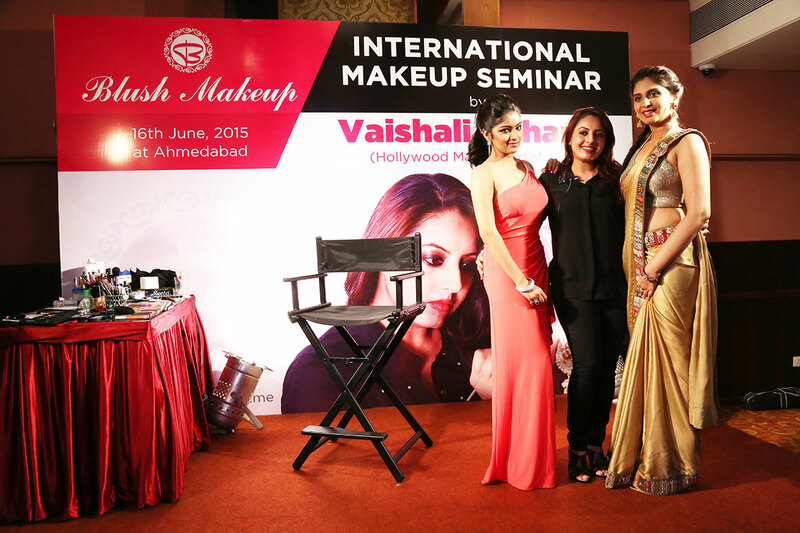 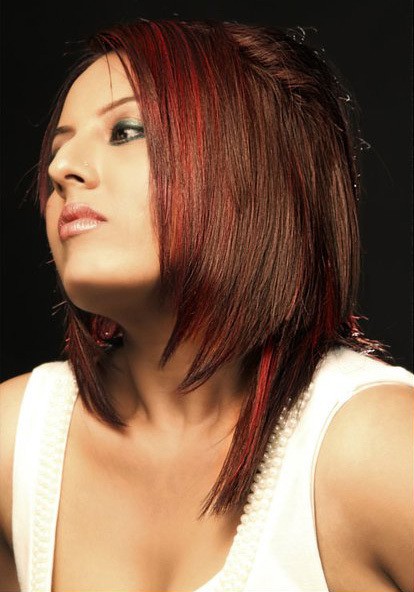 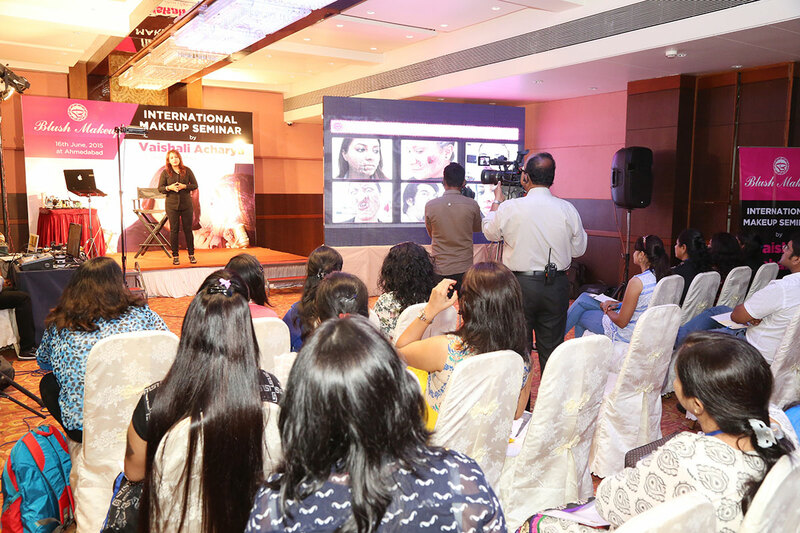 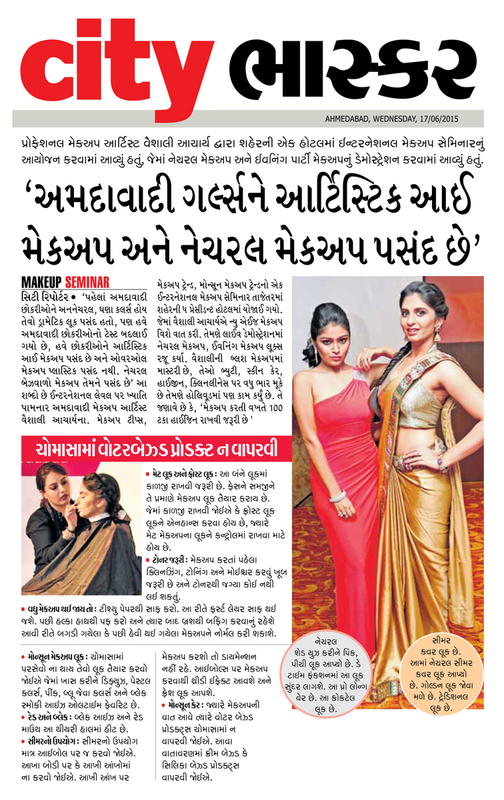 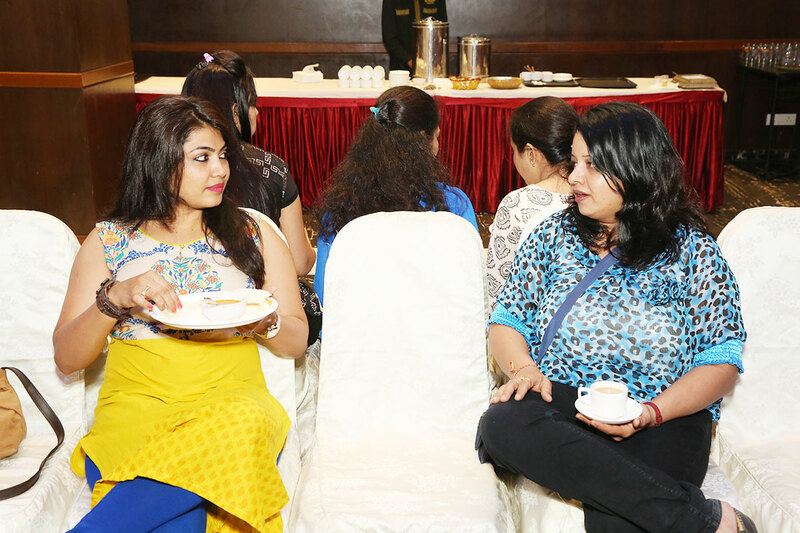 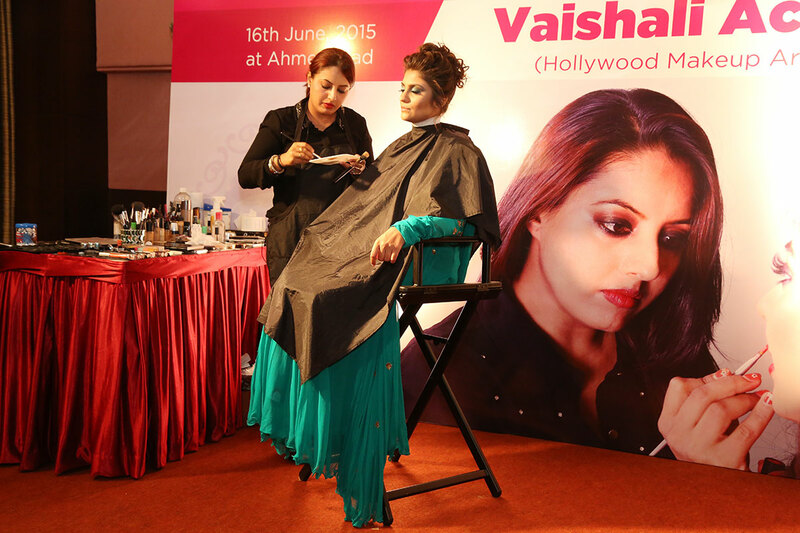 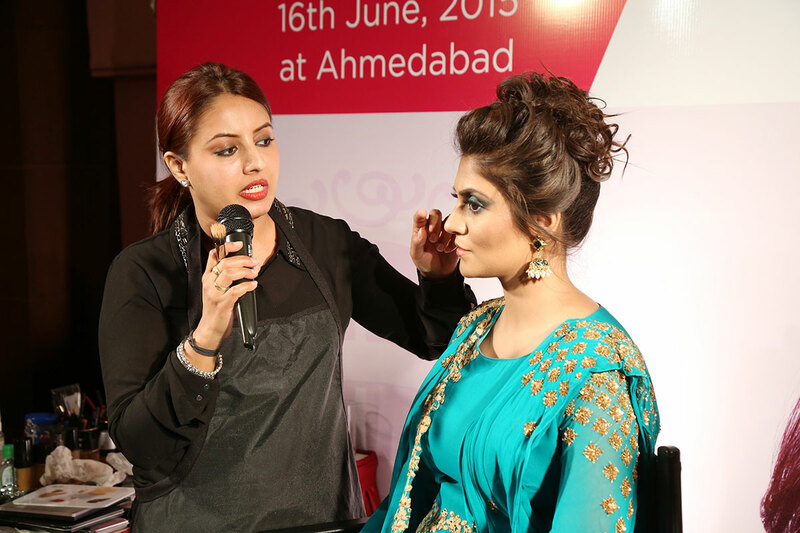 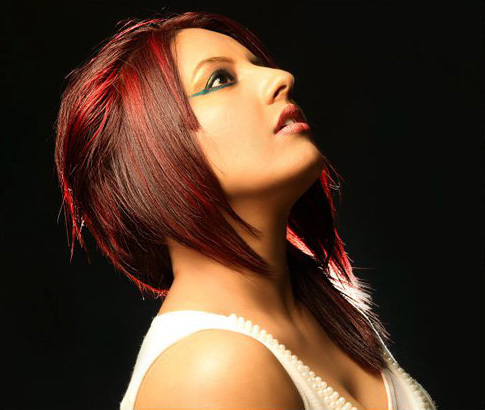 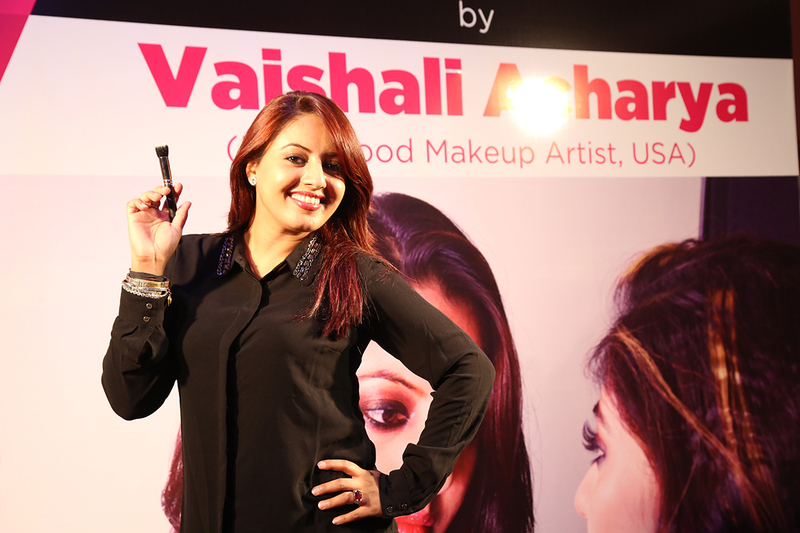 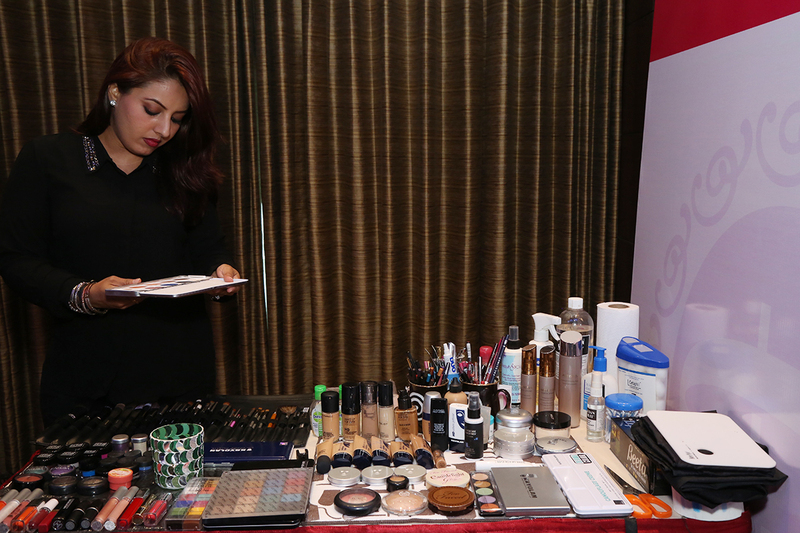 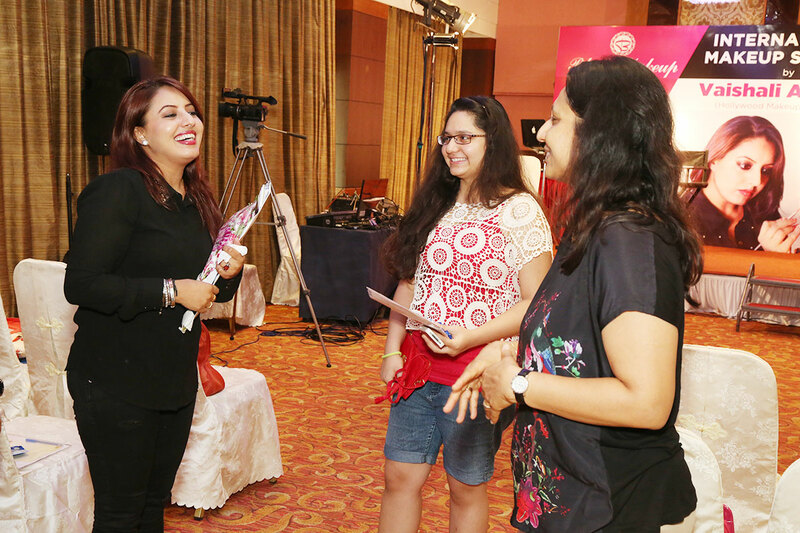 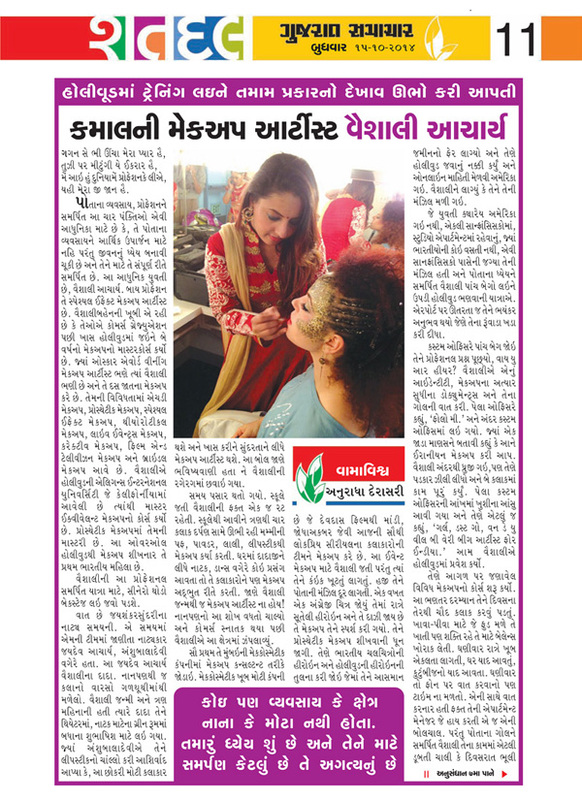 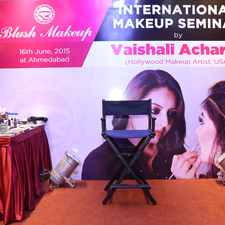 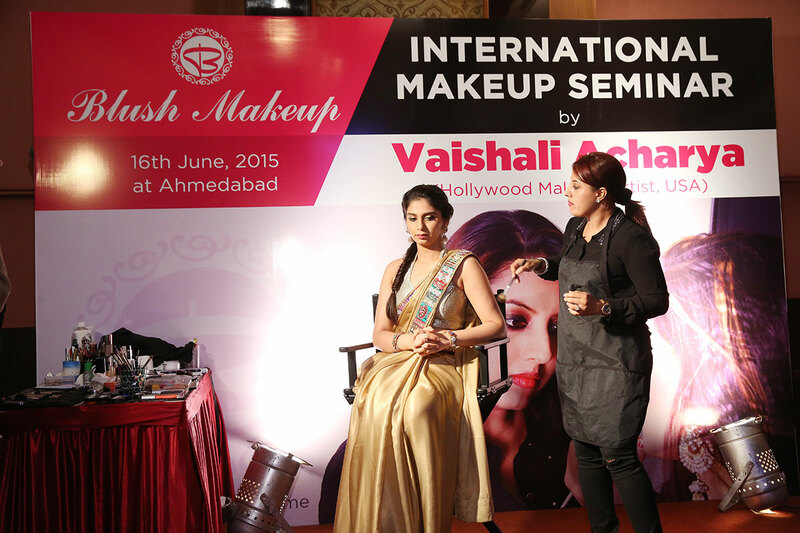 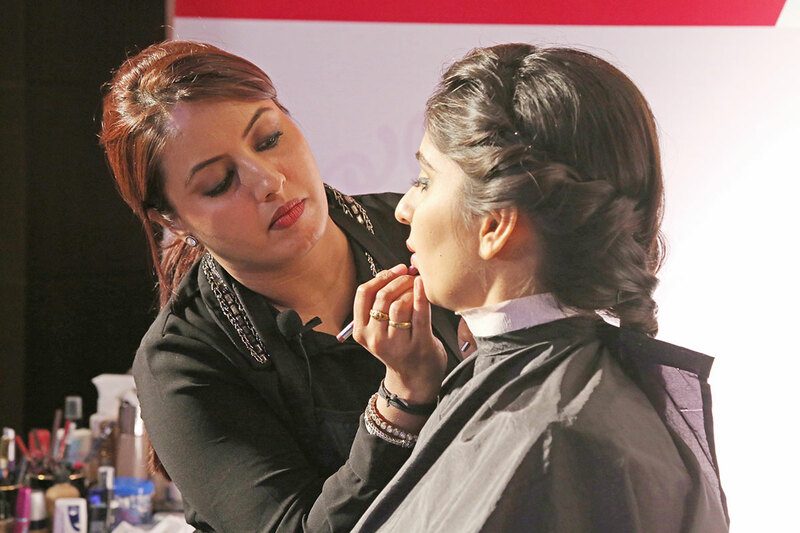 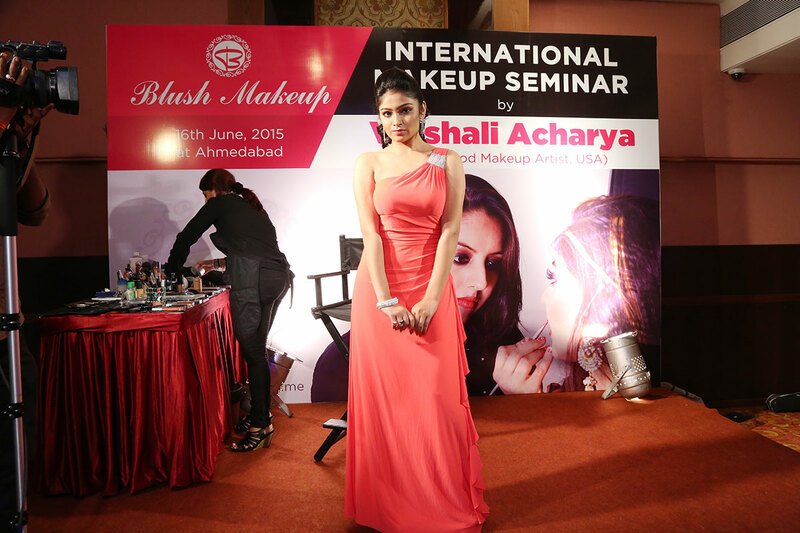 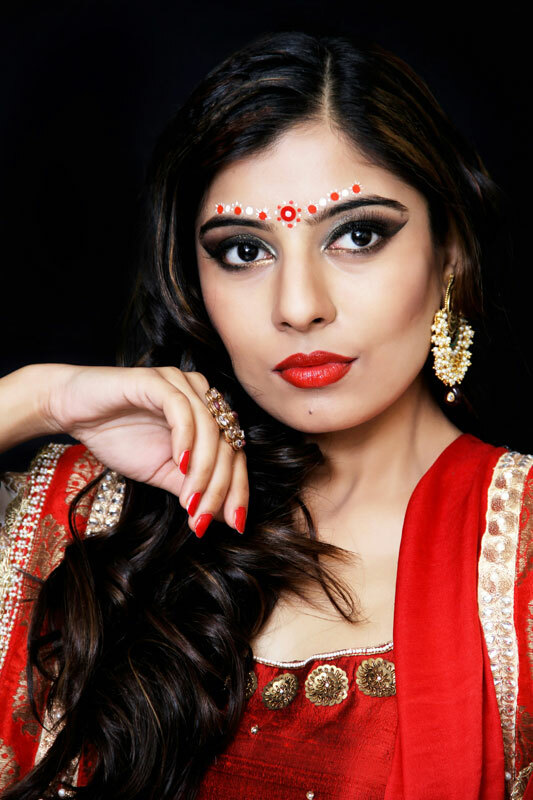 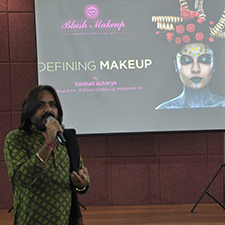 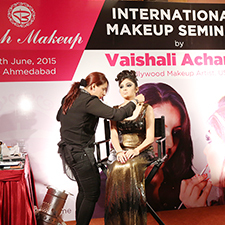 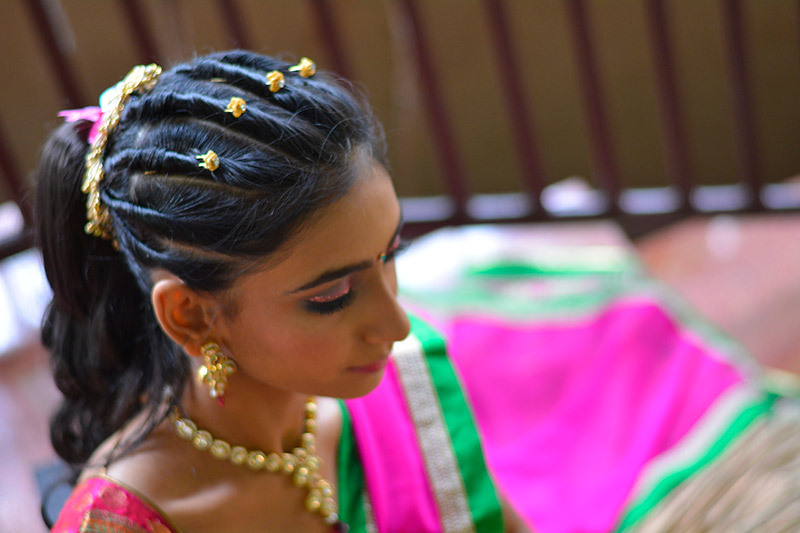 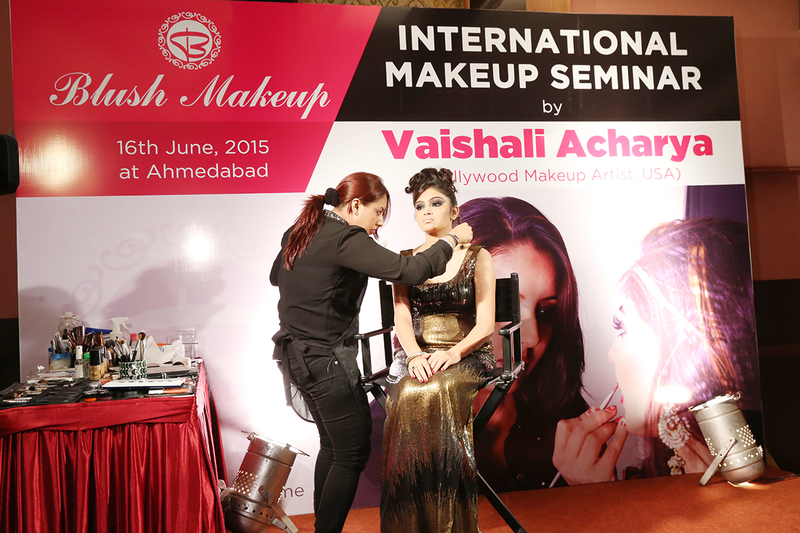 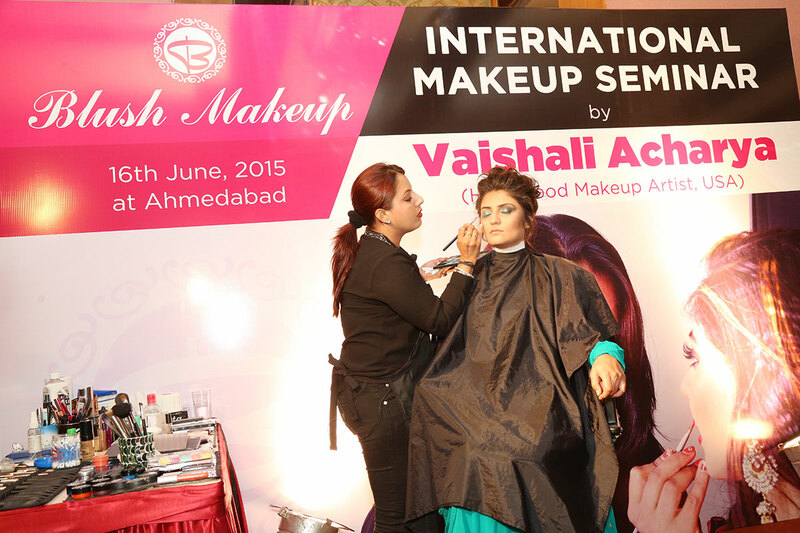 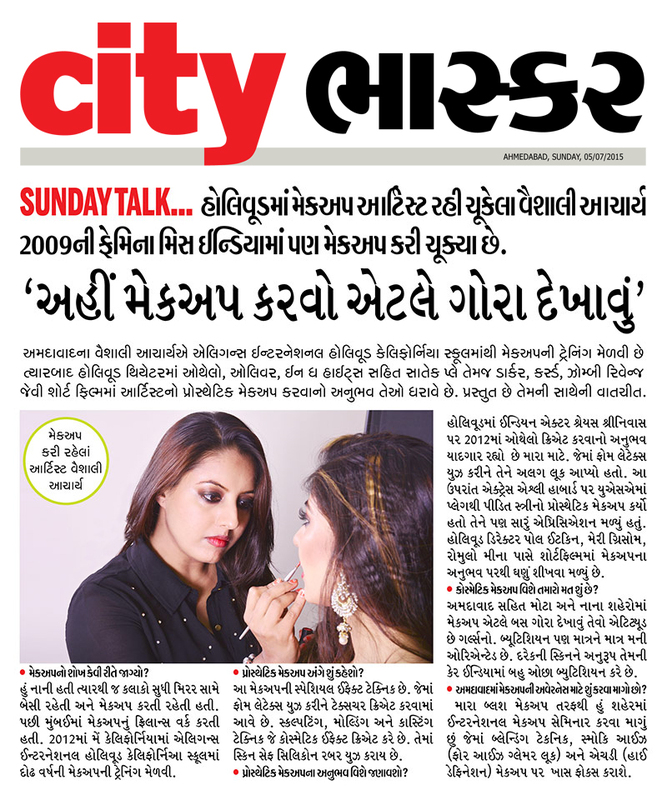 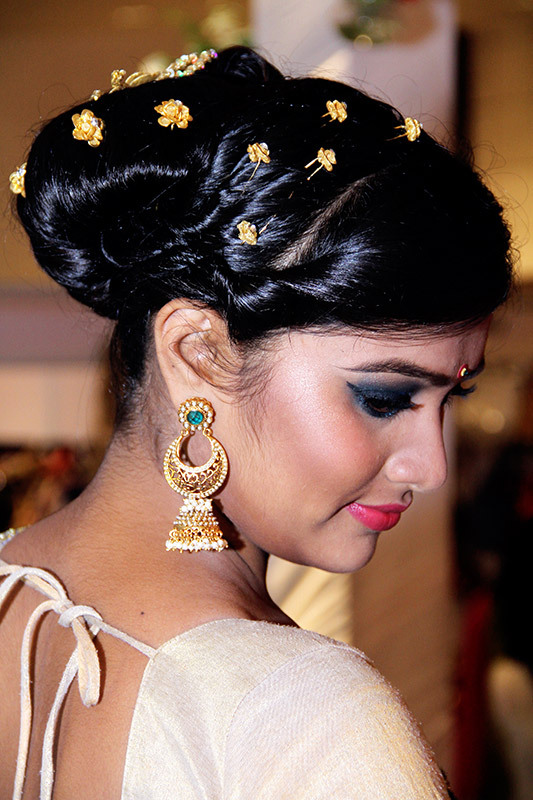 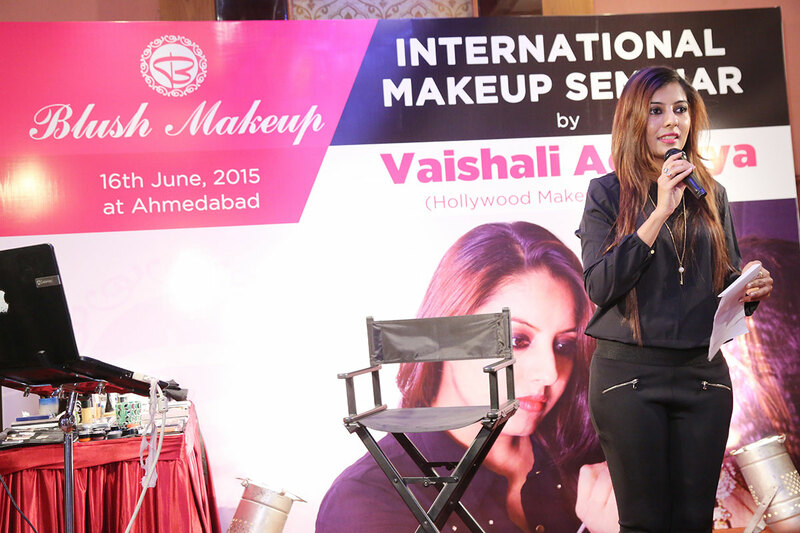 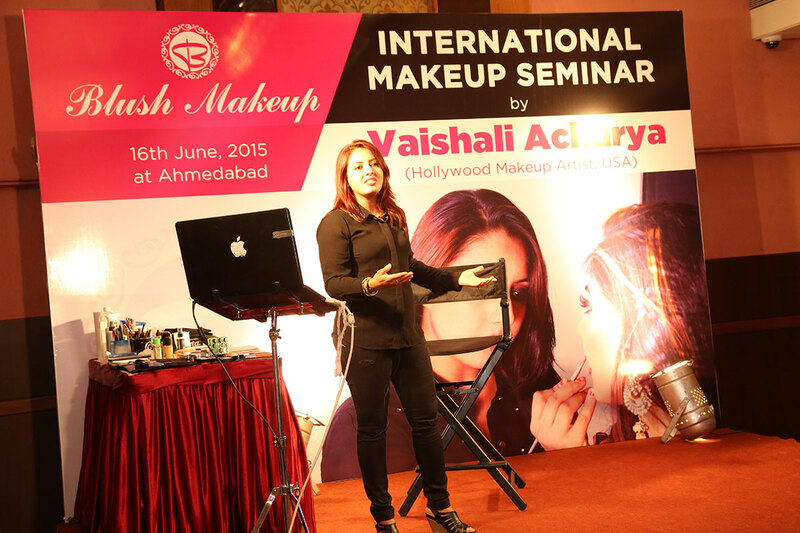 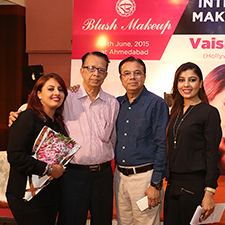 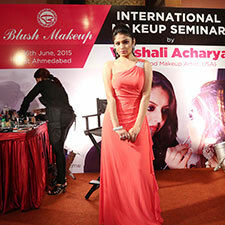 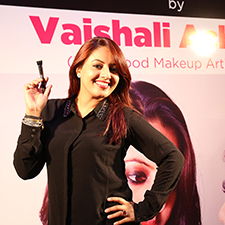 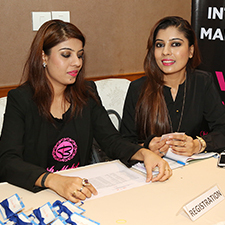 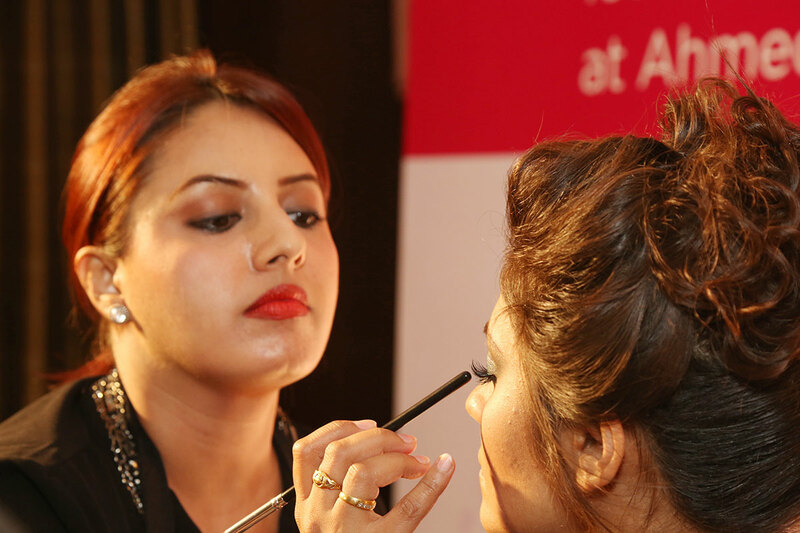 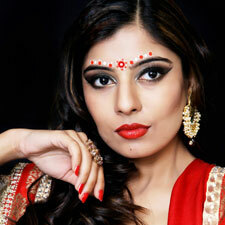 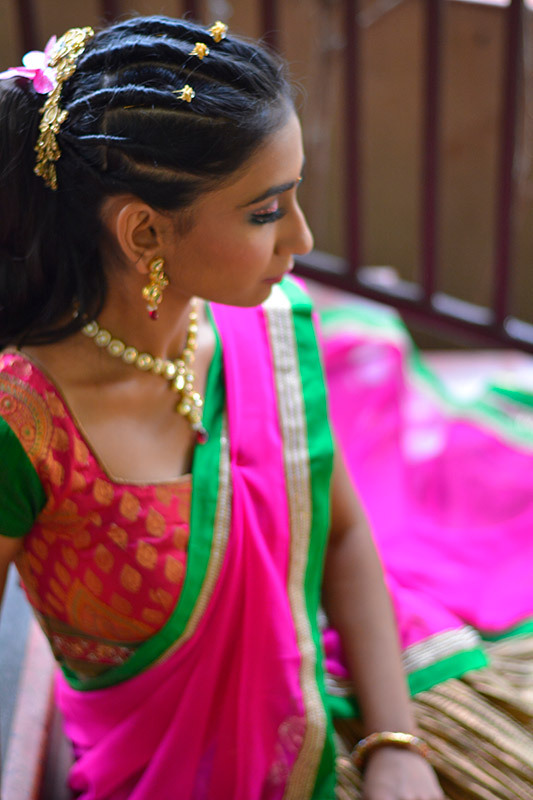 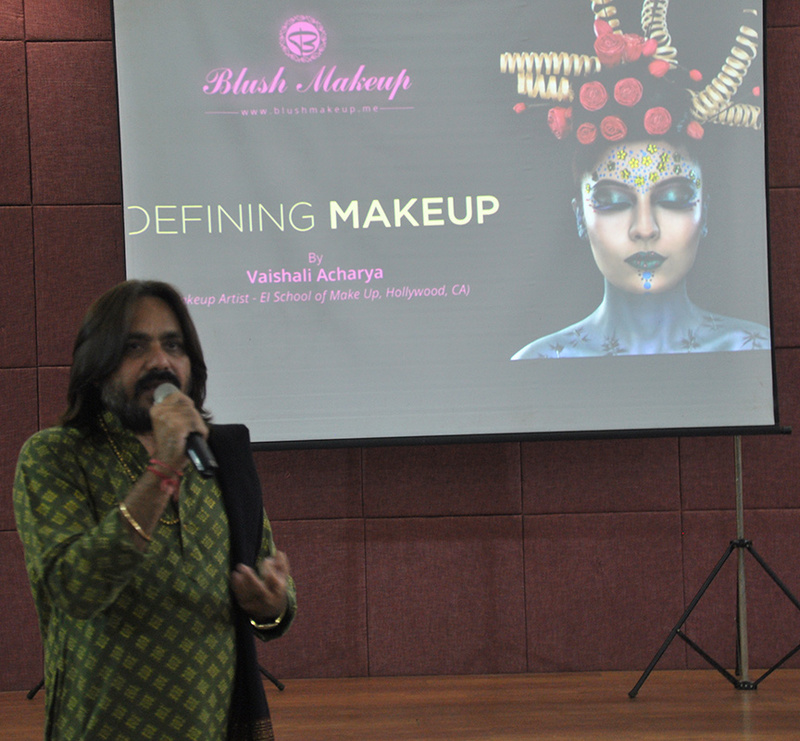 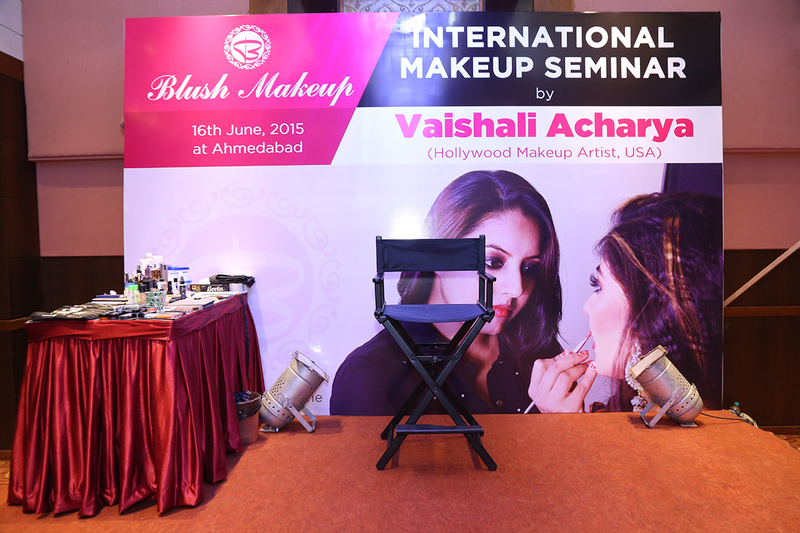 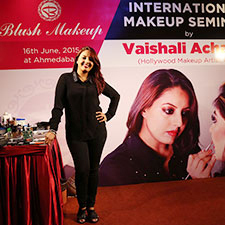 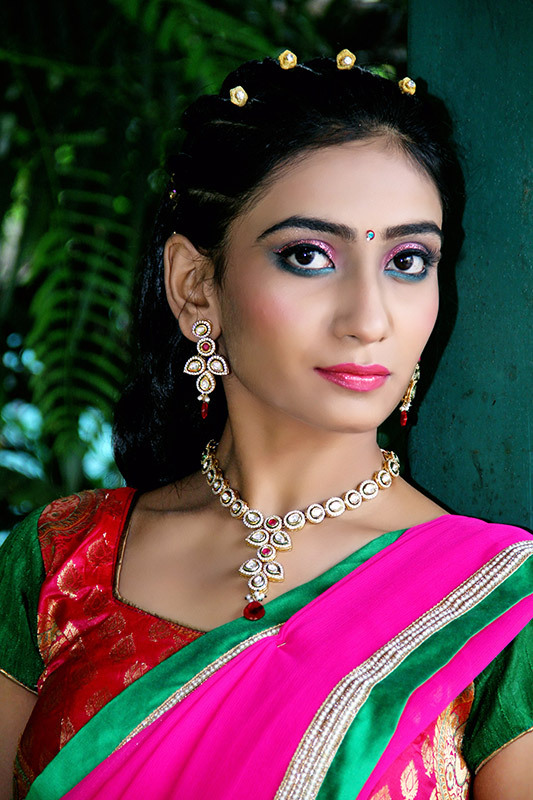 Vaishali is highly gifted and creative freelance makeup artist working as her own brand Blush Makeup. 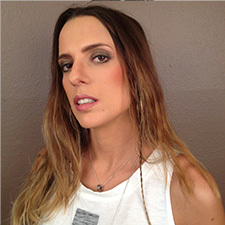 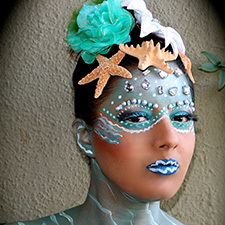 She is graduate of Elegance International, Hollywood California in Artistry of makeup. 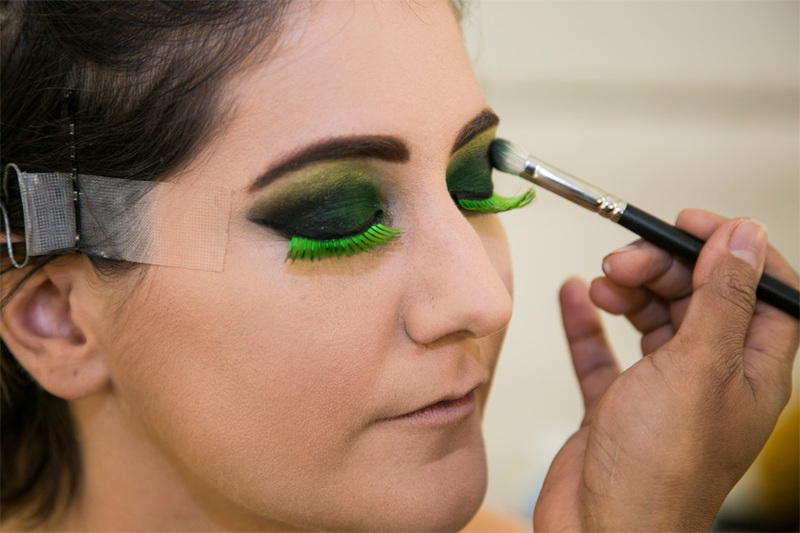 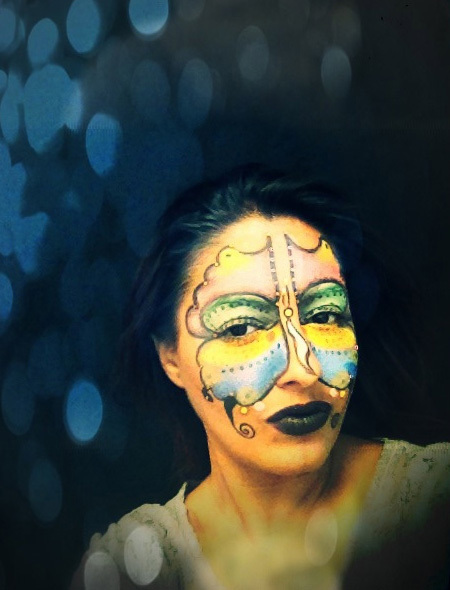 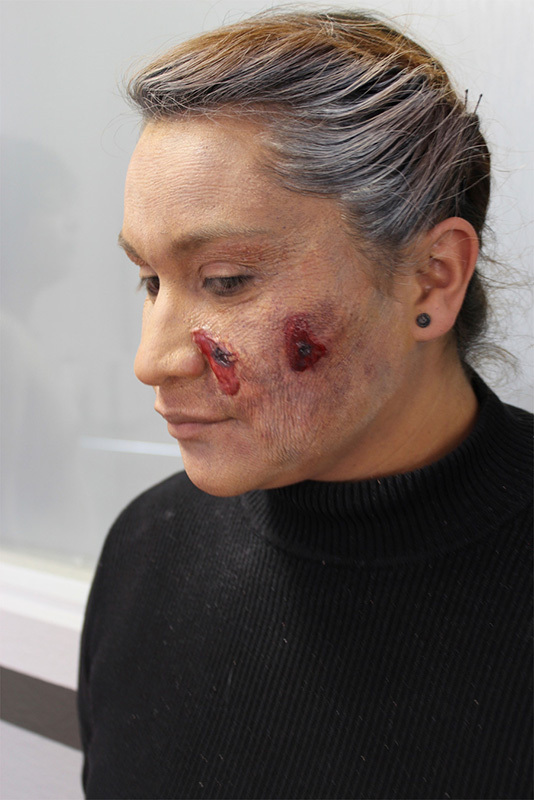 She has huge experience in interpreting the make-up requirements of clients and to produce both a creative and technically accurate visual representation. 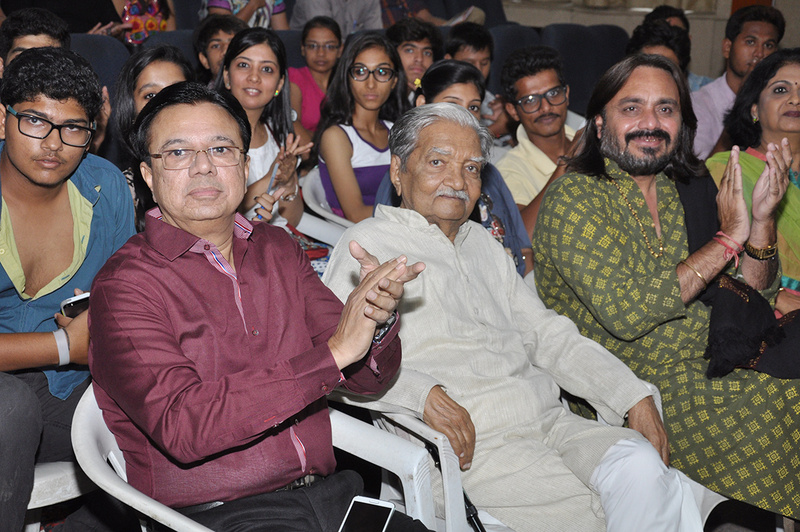 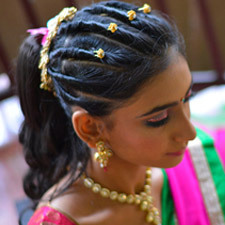 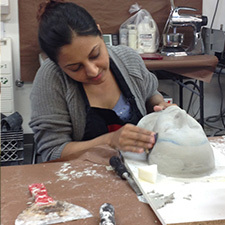 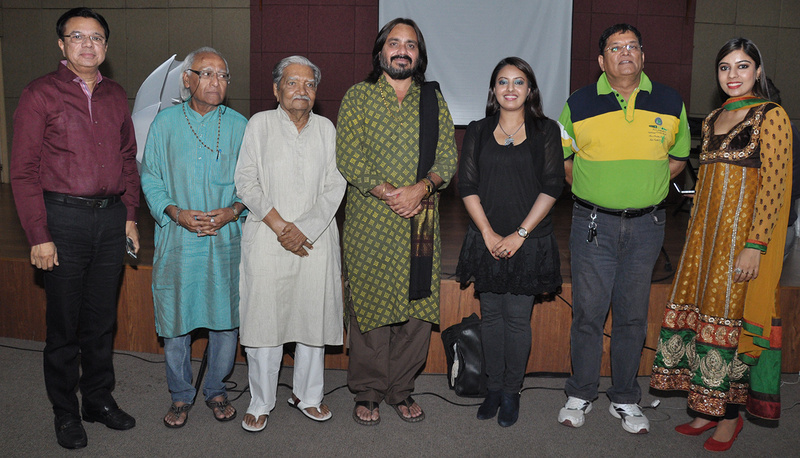 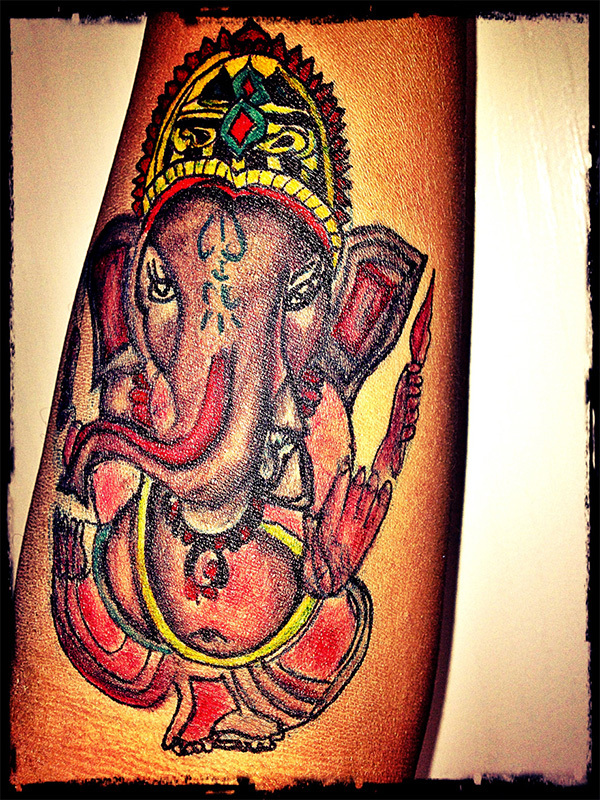 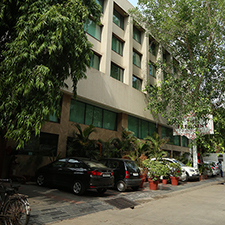 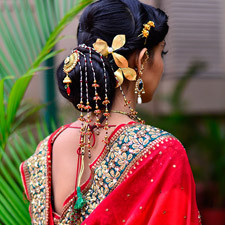 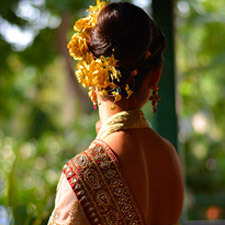 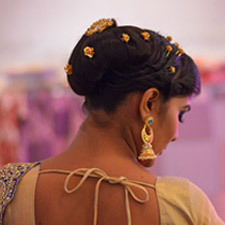 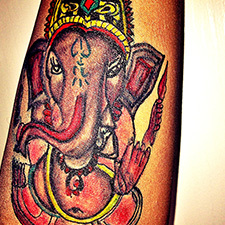 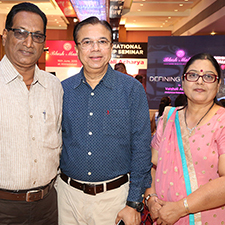 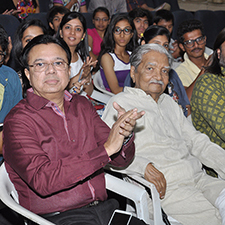 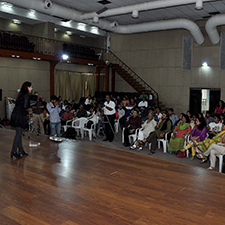 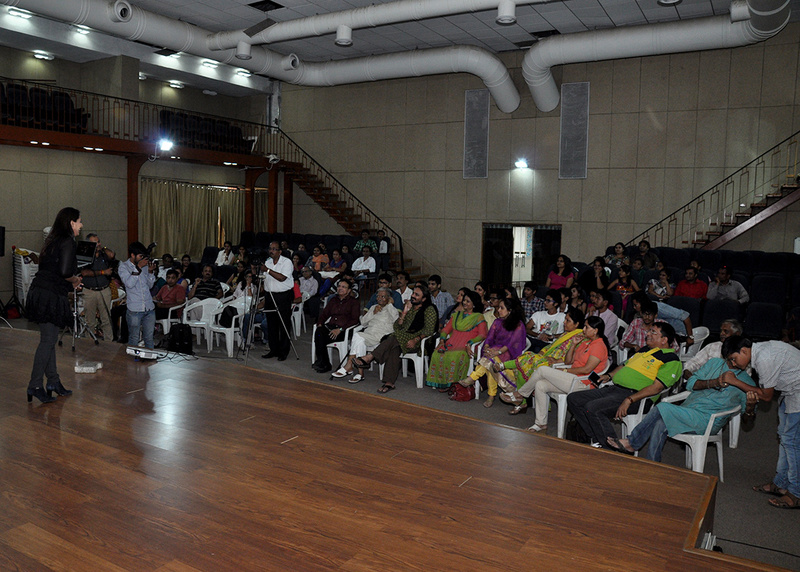 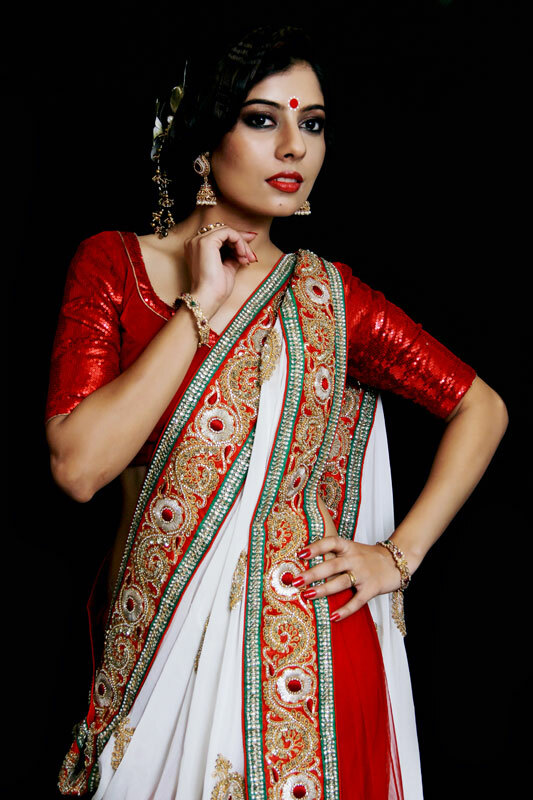 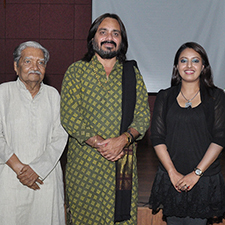 Vaishali is an accomplished artist, She has established herself as a creative professional with an instinctive ability to bring out the unique beauty of each subject, regardless of gender or ethnicity. 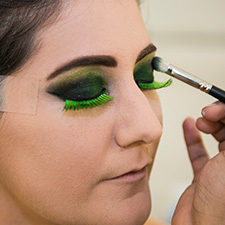 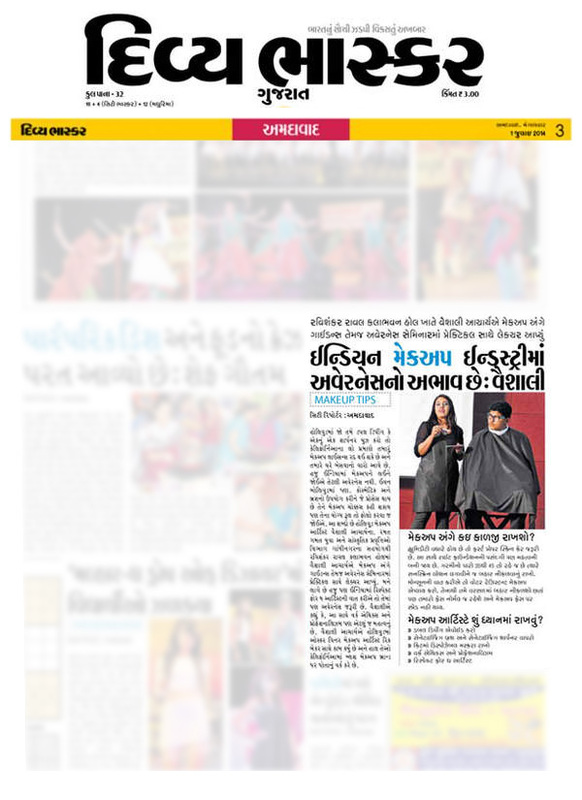 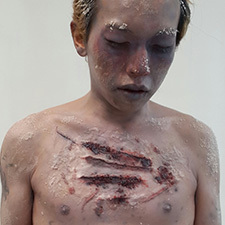 She ensures that models, performers, presenters have suitable perfect make-up and hairstyles before they appear in front of the cameras or an audience. 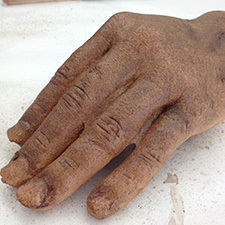 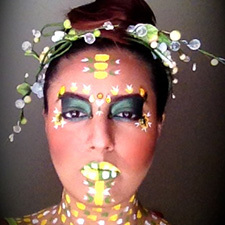 She has a Strong Creative Imagination and Visual Sense. 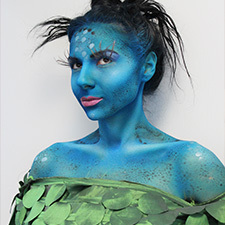 Her makeup style may range from clean simplicity to rogue bursts of unexpected color, but her exquisite precision and flawless technique are consistently dazzling. 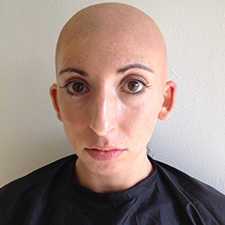 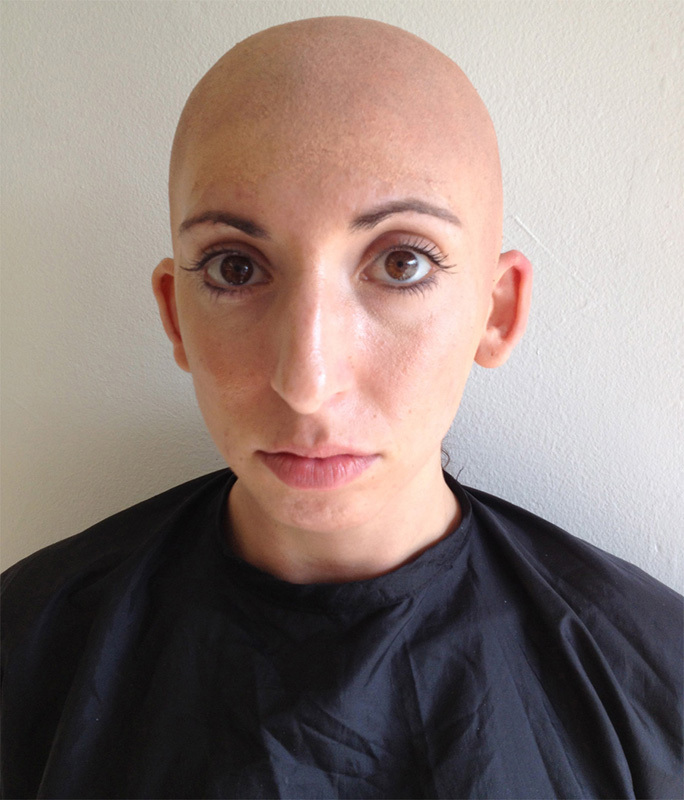 Nothing pleases her more than creating an incredible transformation while maintaining a subject’s natural beauty. 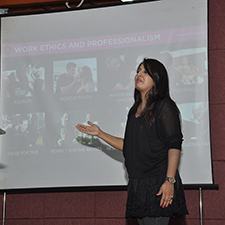 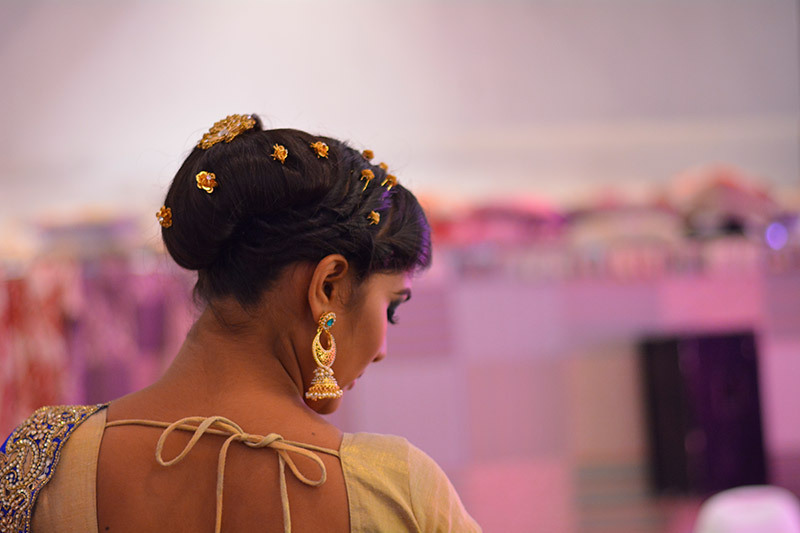 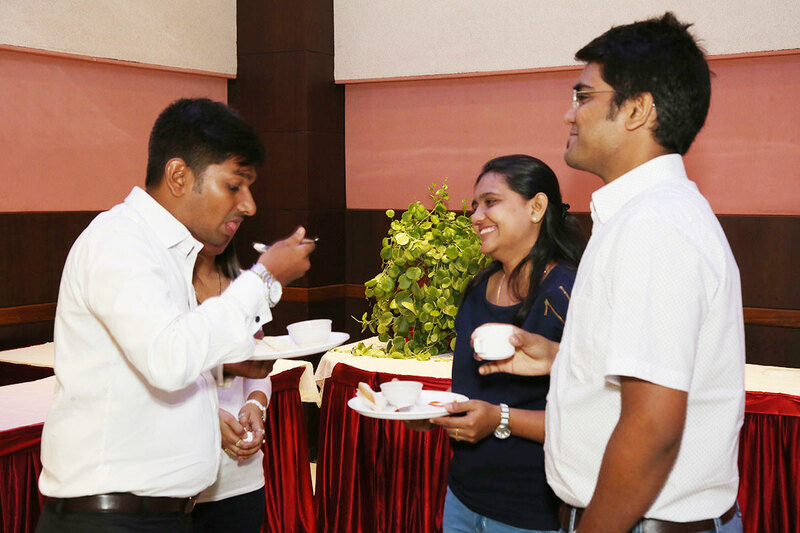 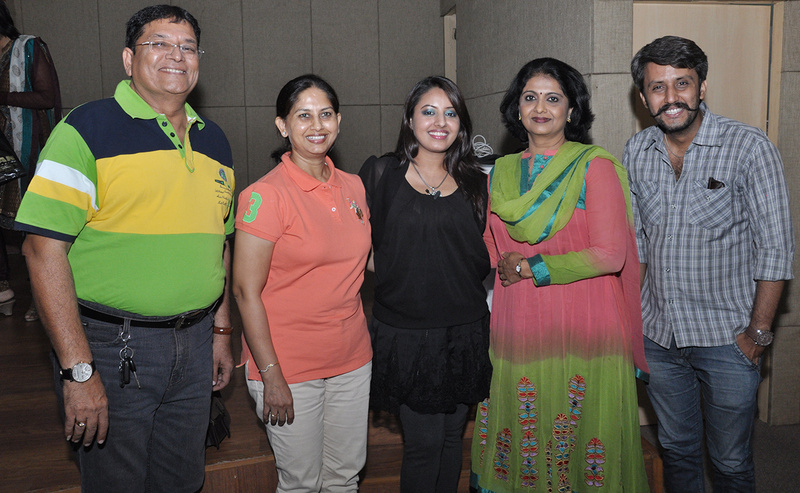 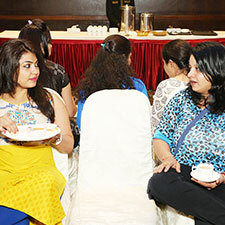 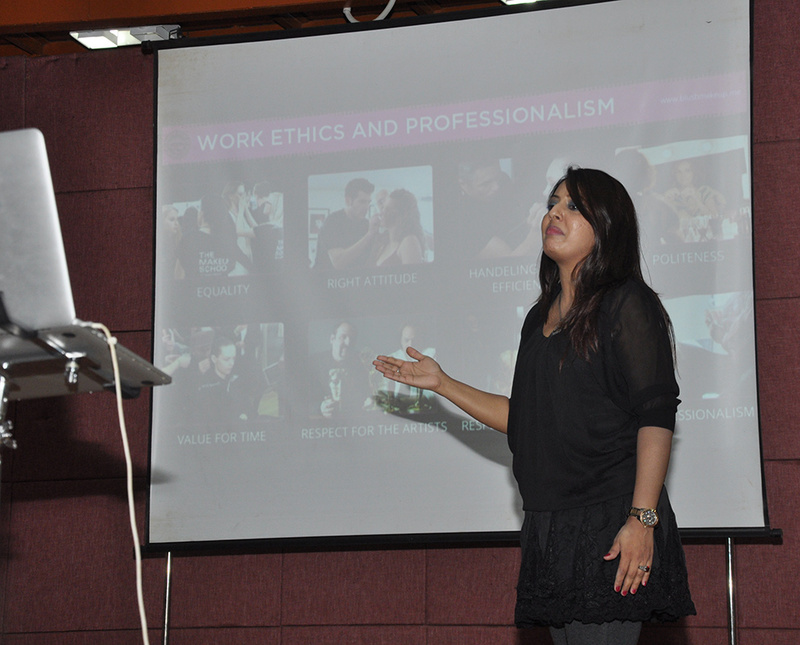 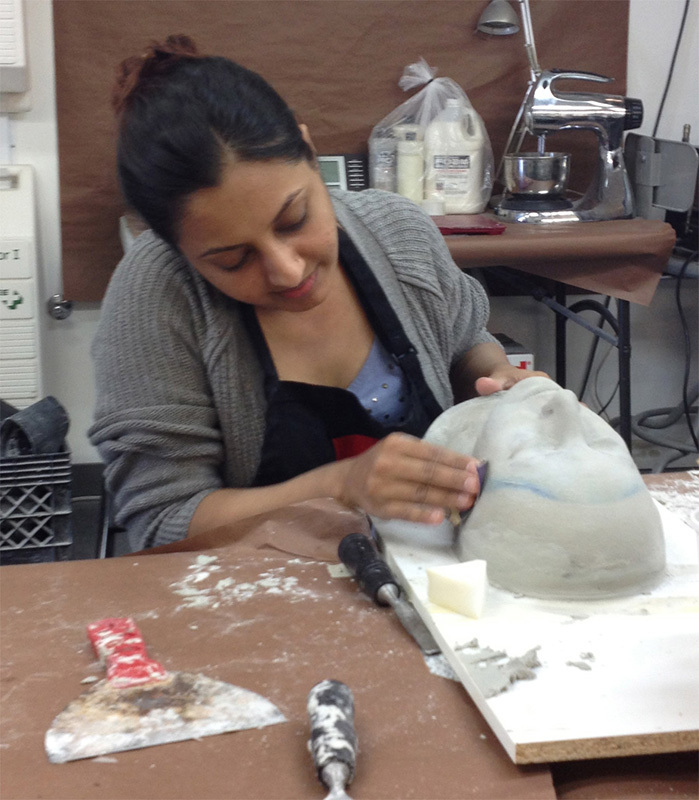 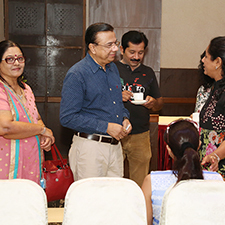 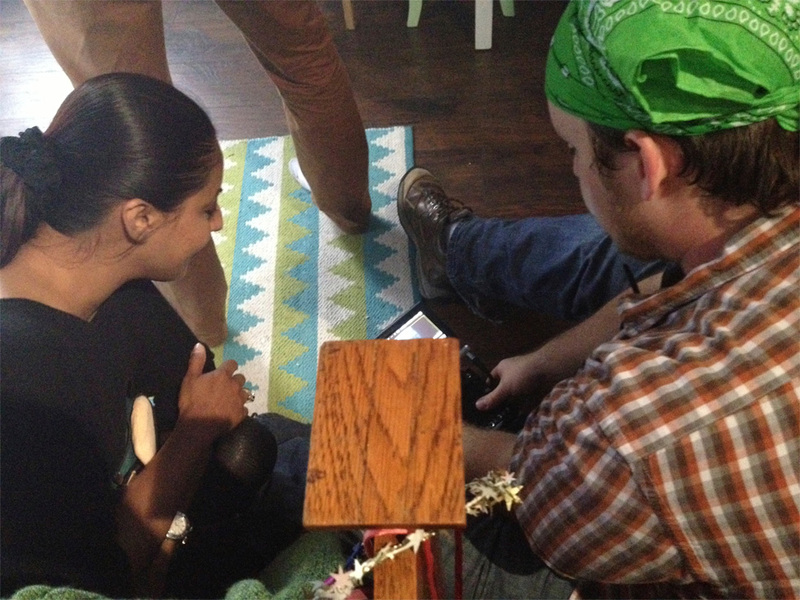 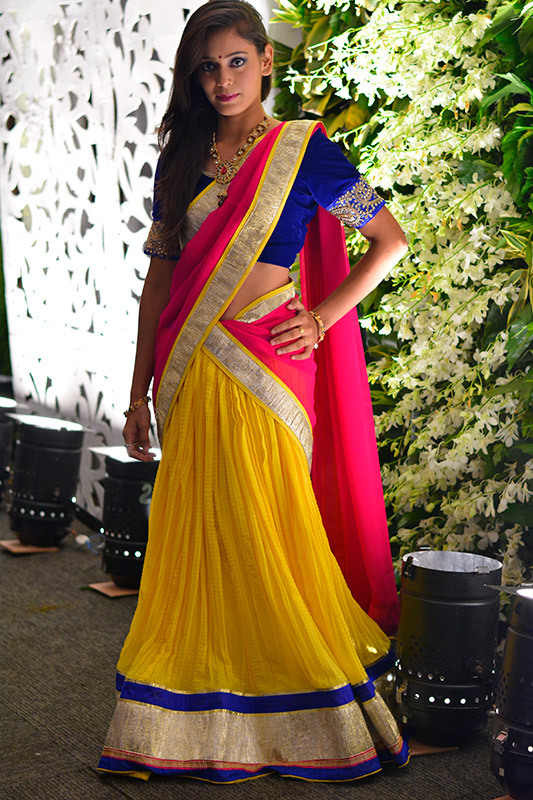 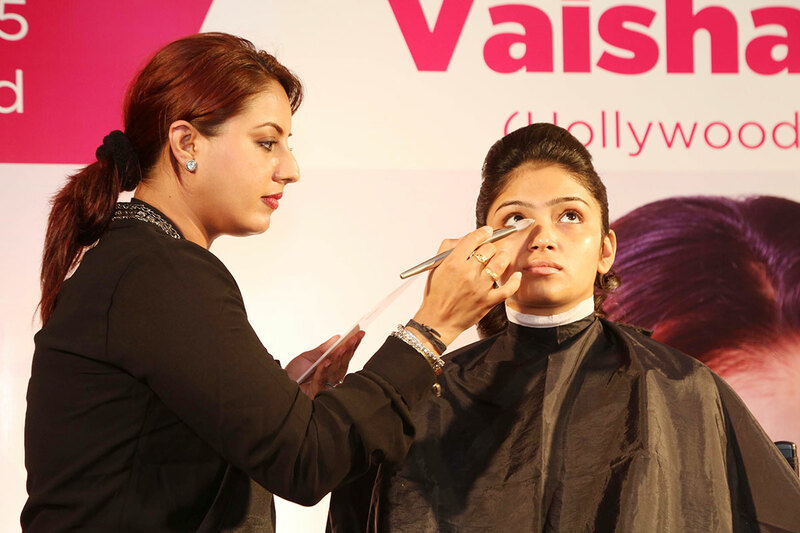 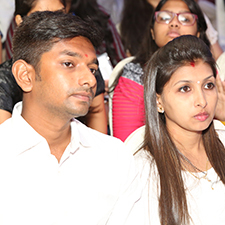 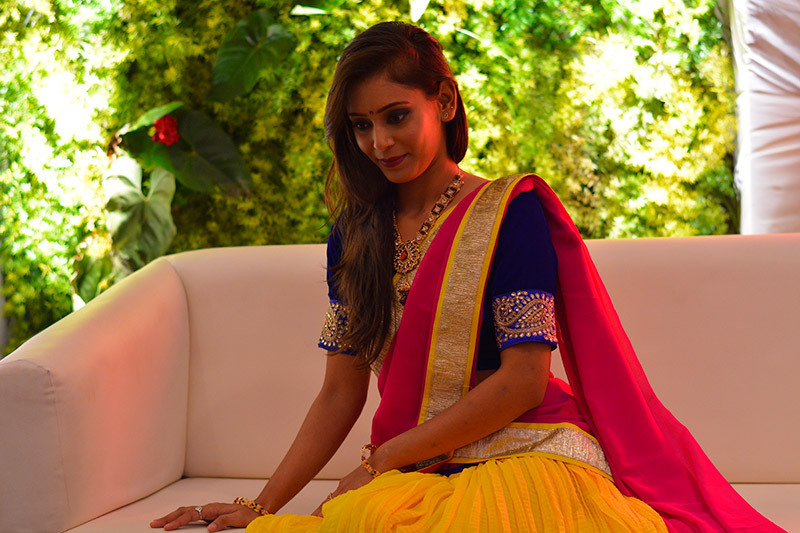 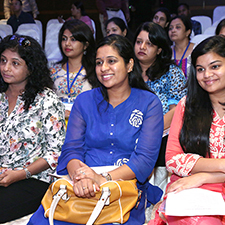 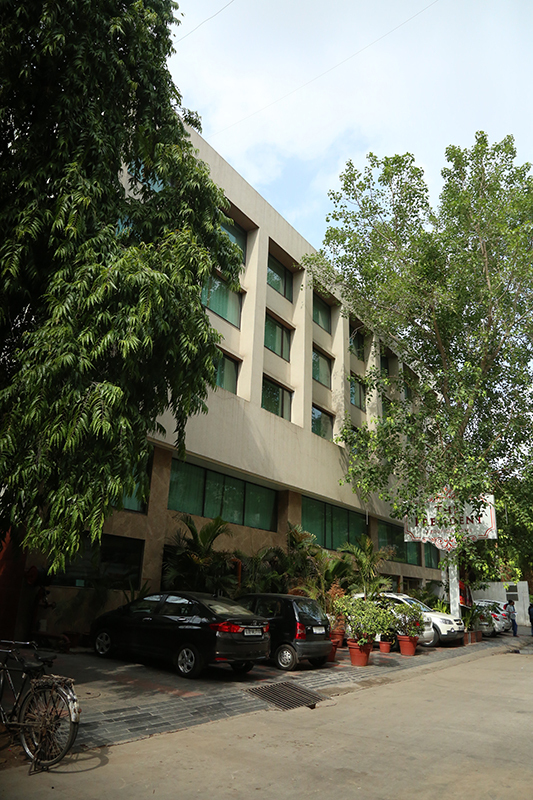 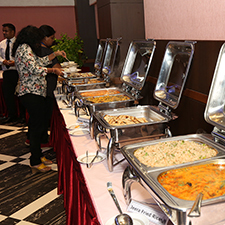 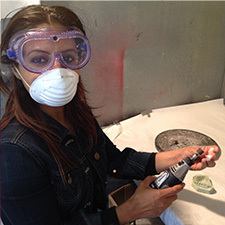 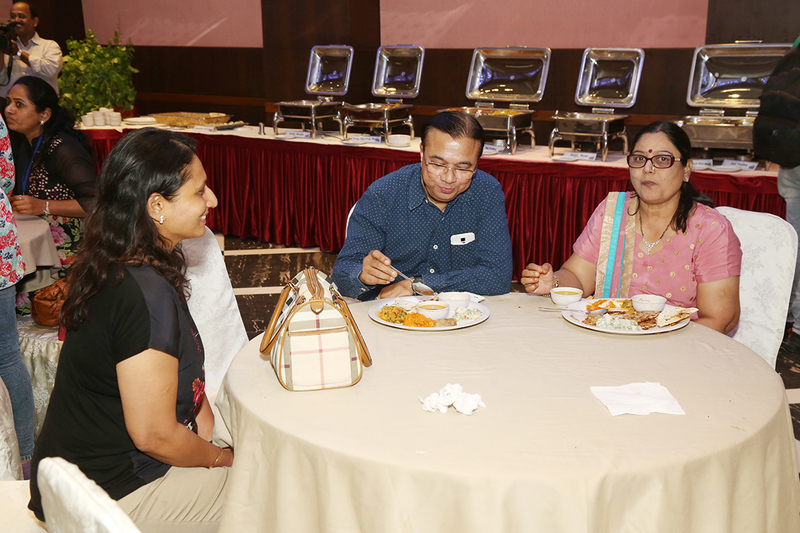 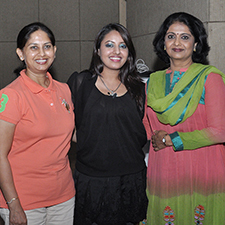 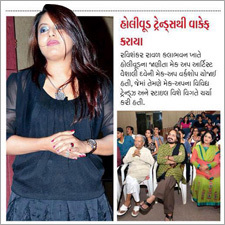 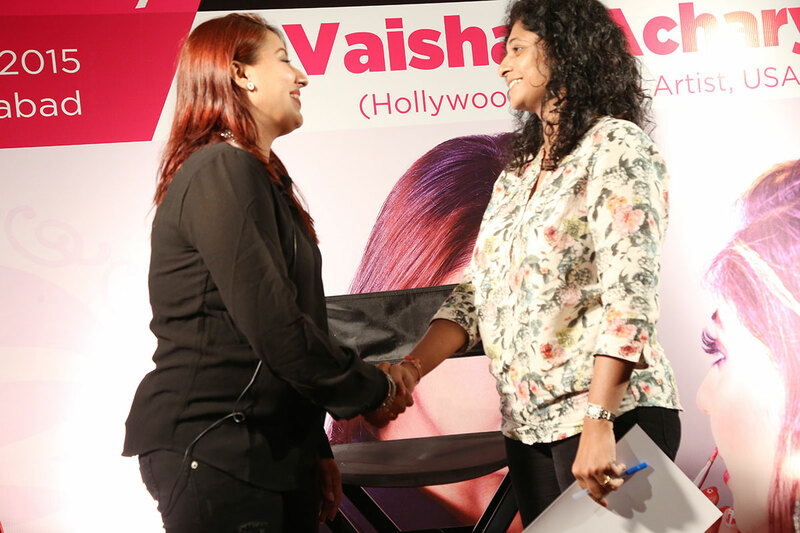 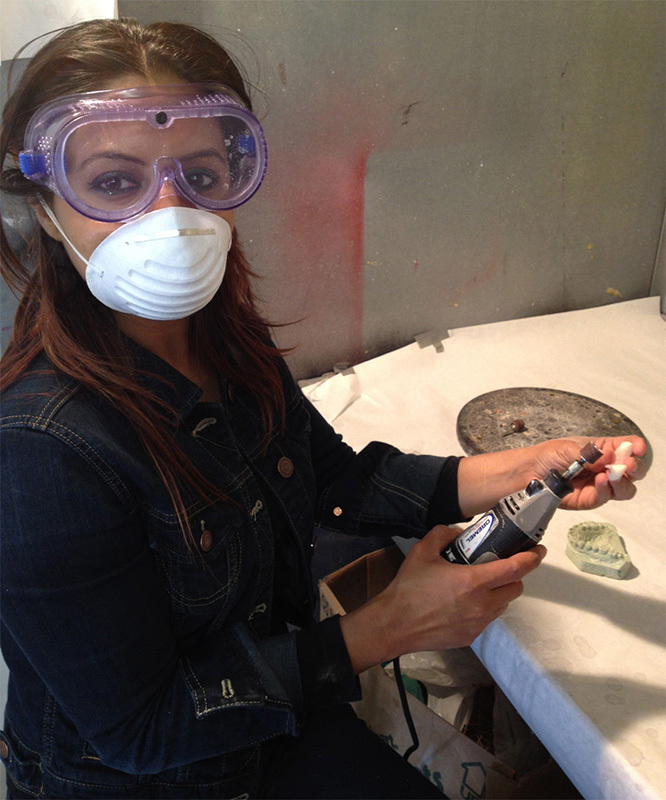 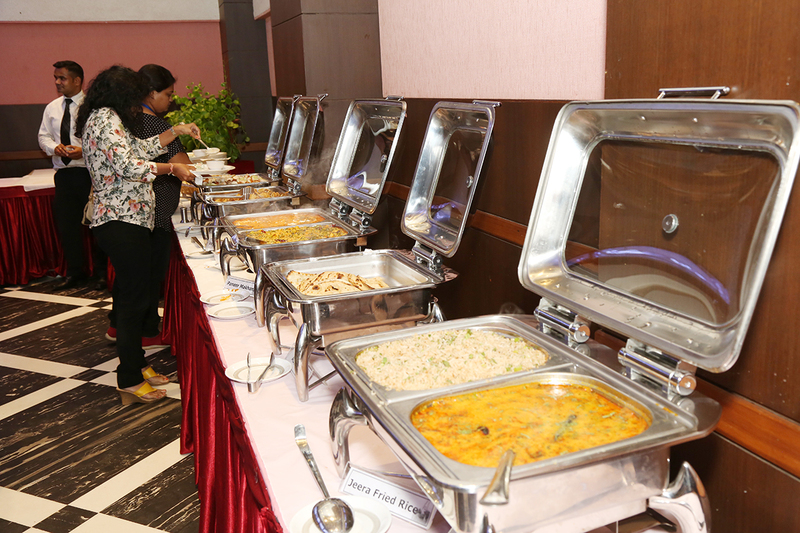 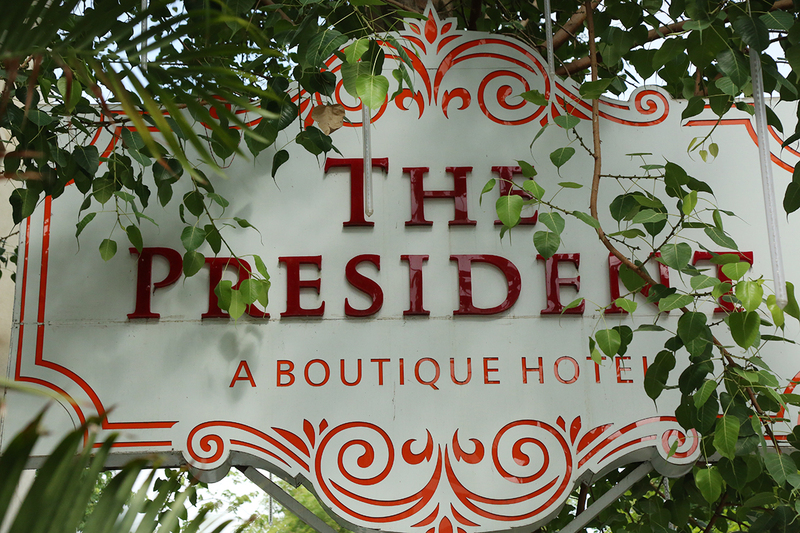 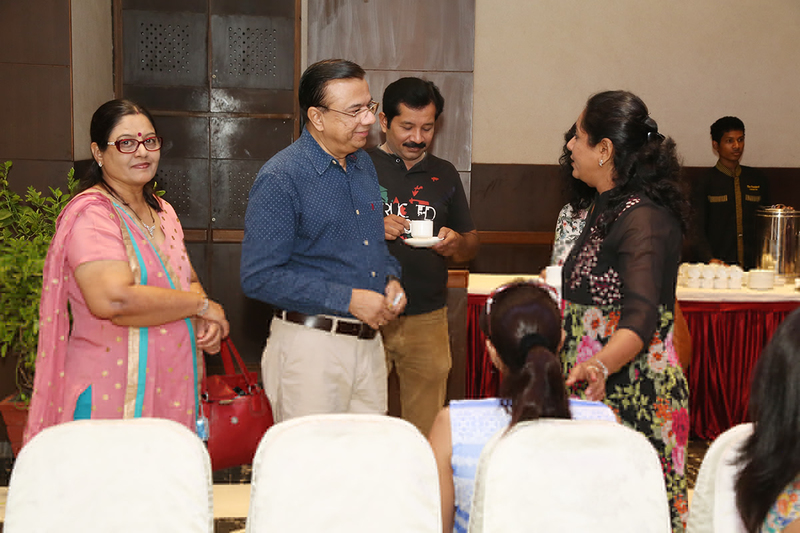 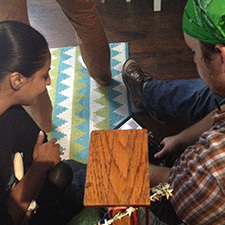 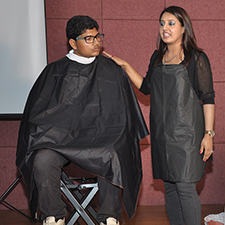 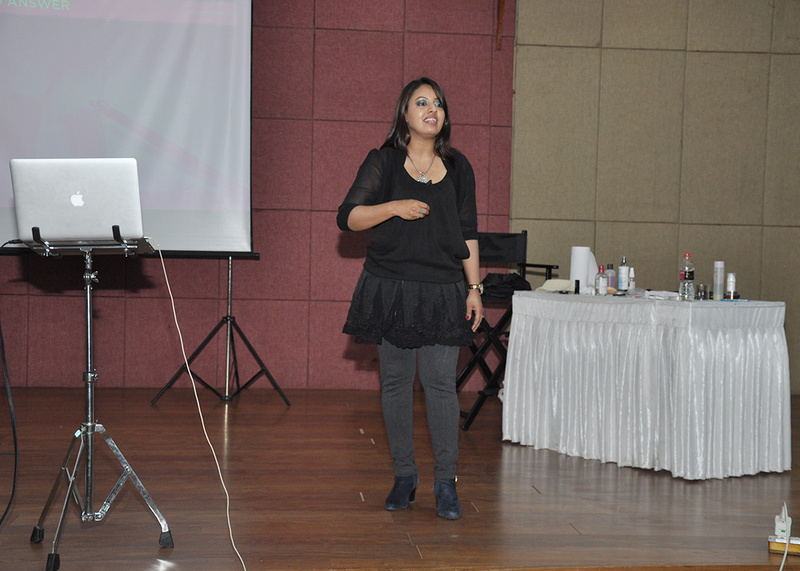 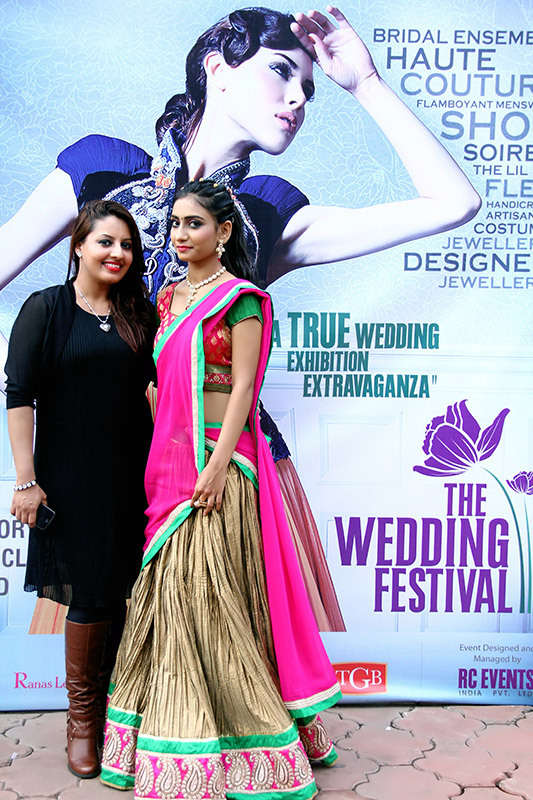 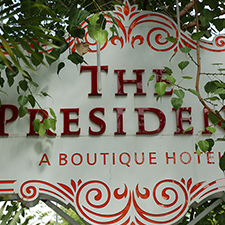 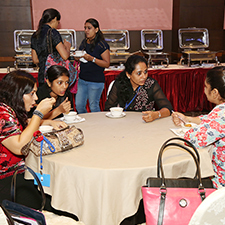 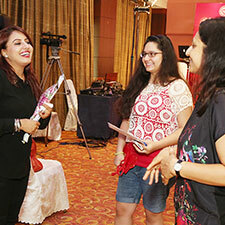 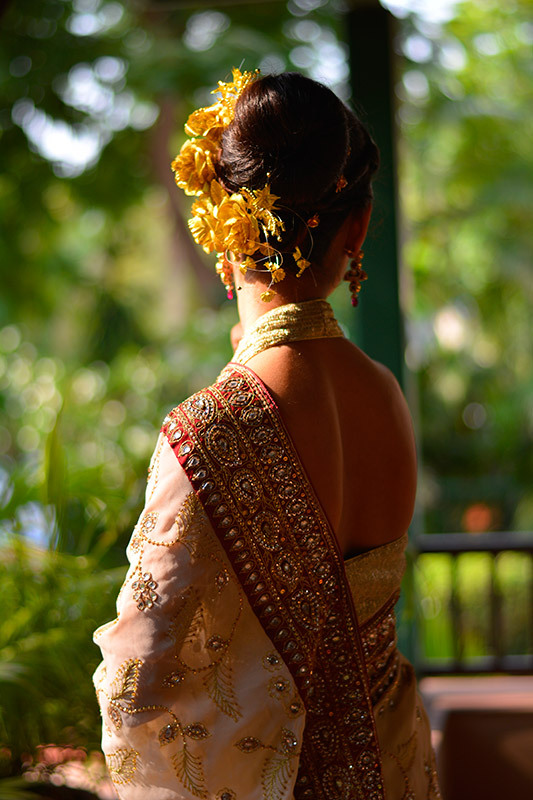 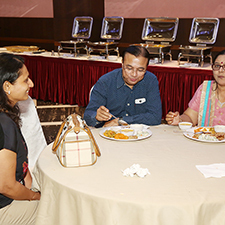 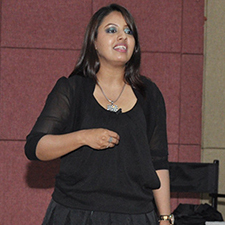 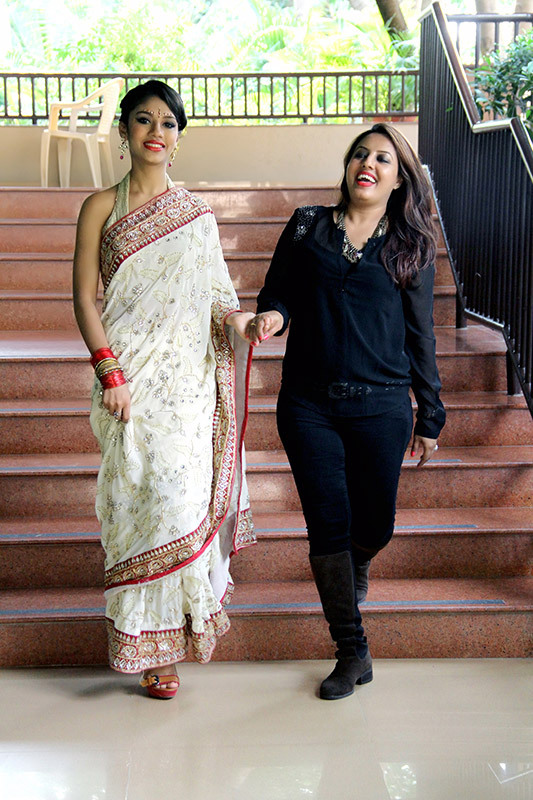 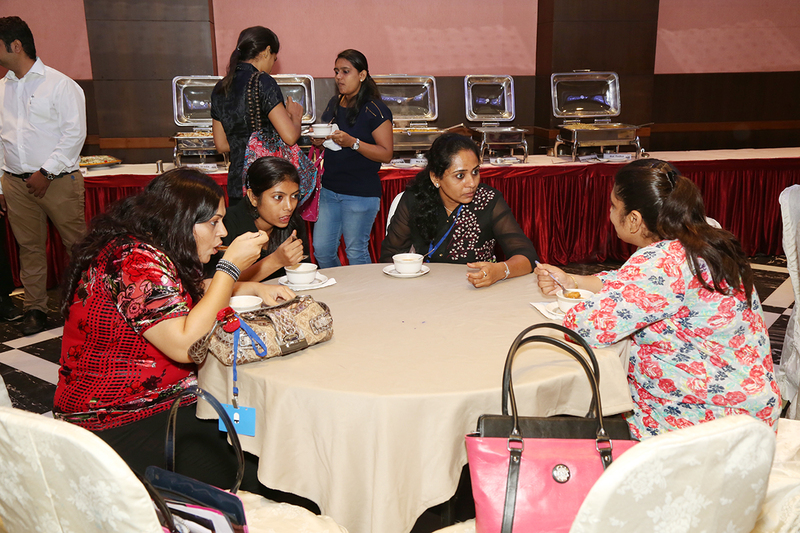 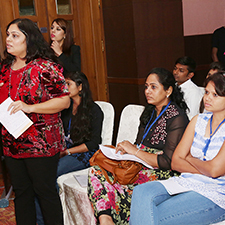 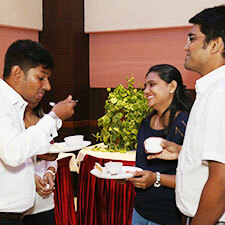 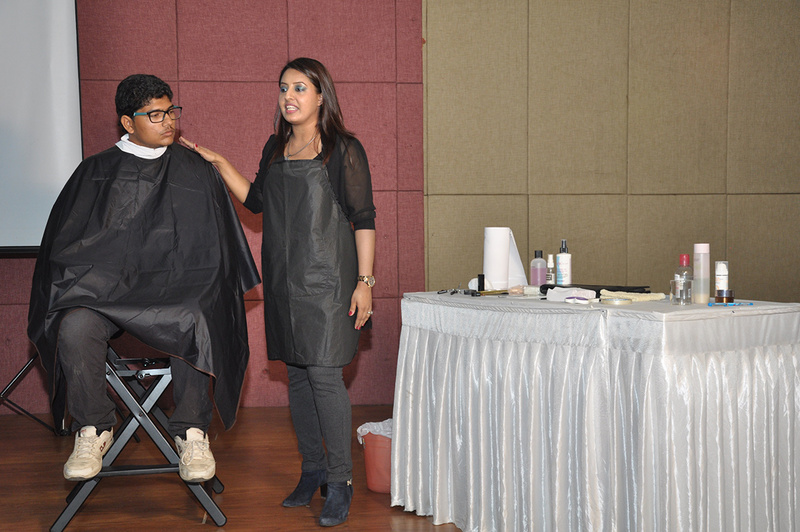 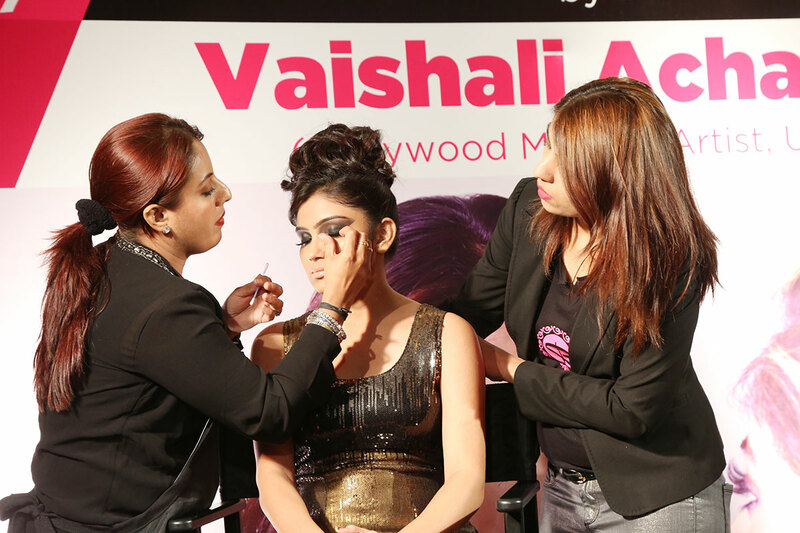 Vaishali embraces every job with a fresh perspective, and a unique flair. 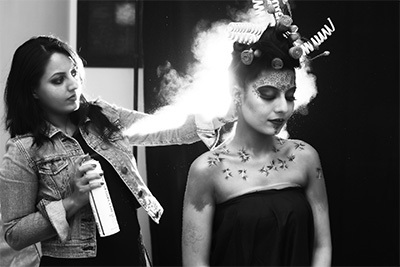 She is a creative artist, a skilled professional and an extraordinarily hard worker who takes pride in all she does. 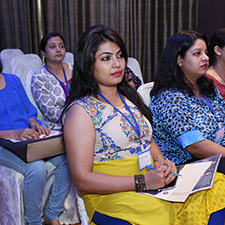 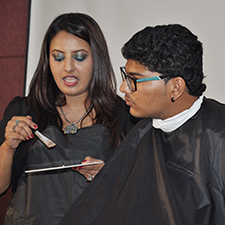 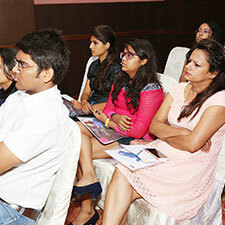 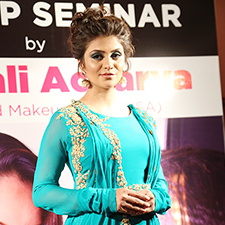 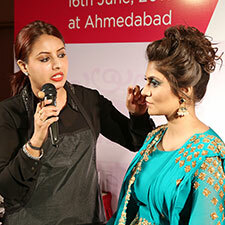 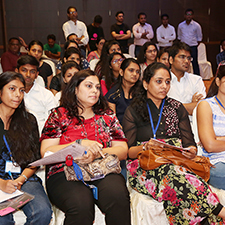 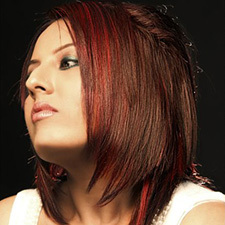 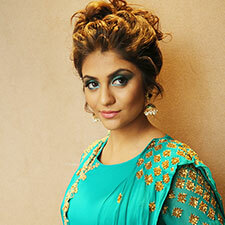 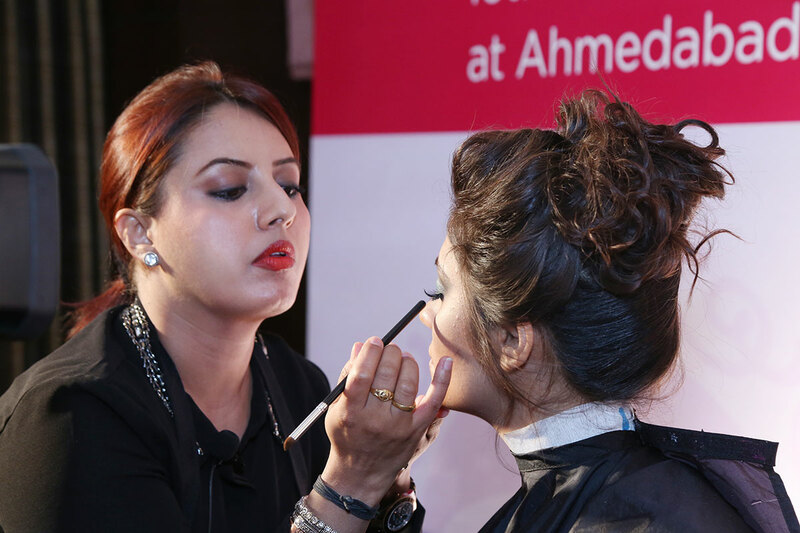 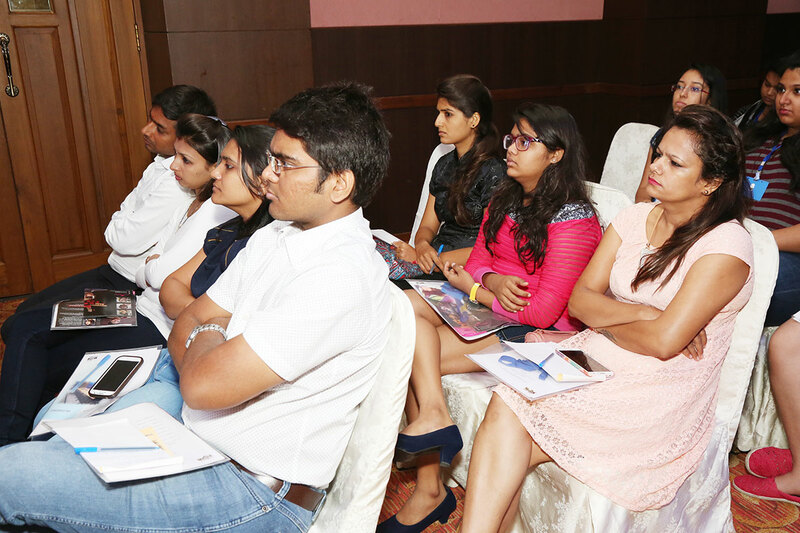 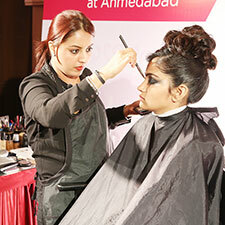 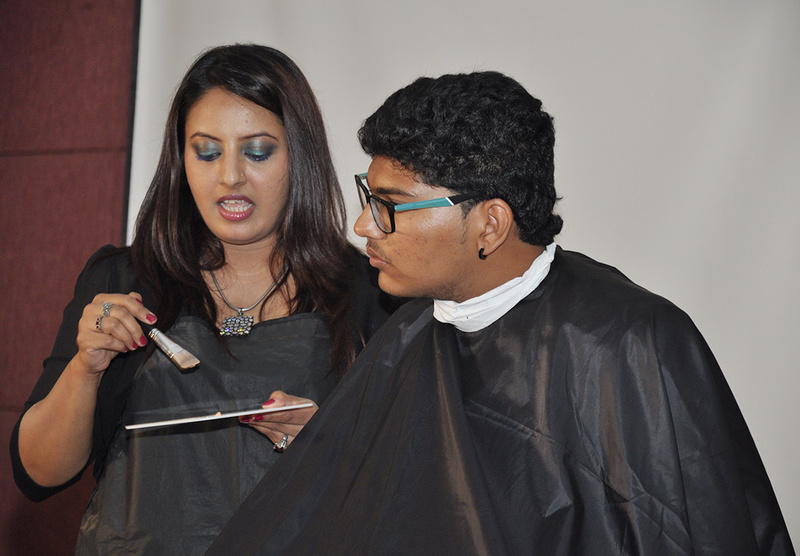 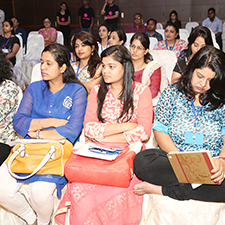 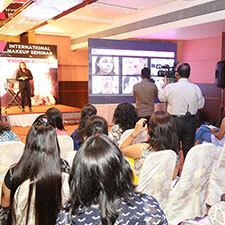 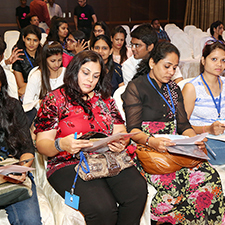 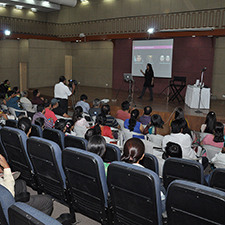 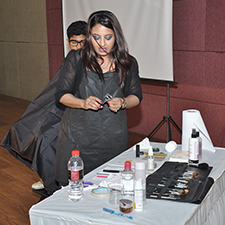 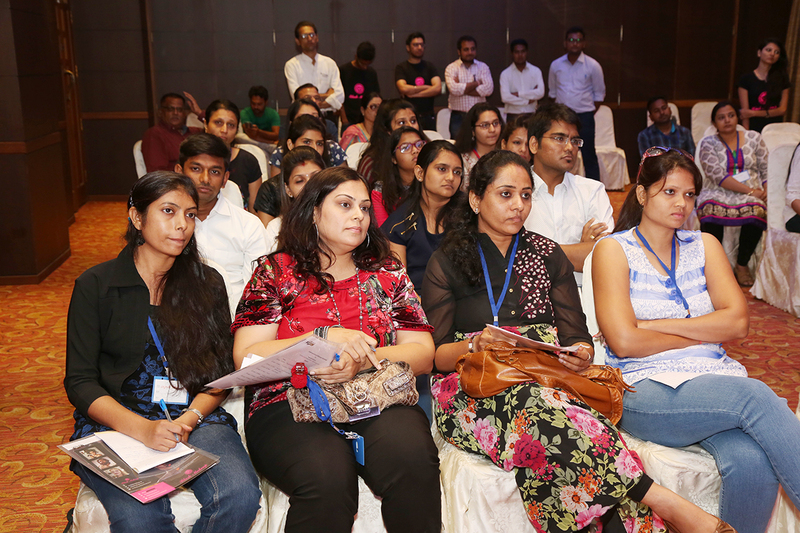 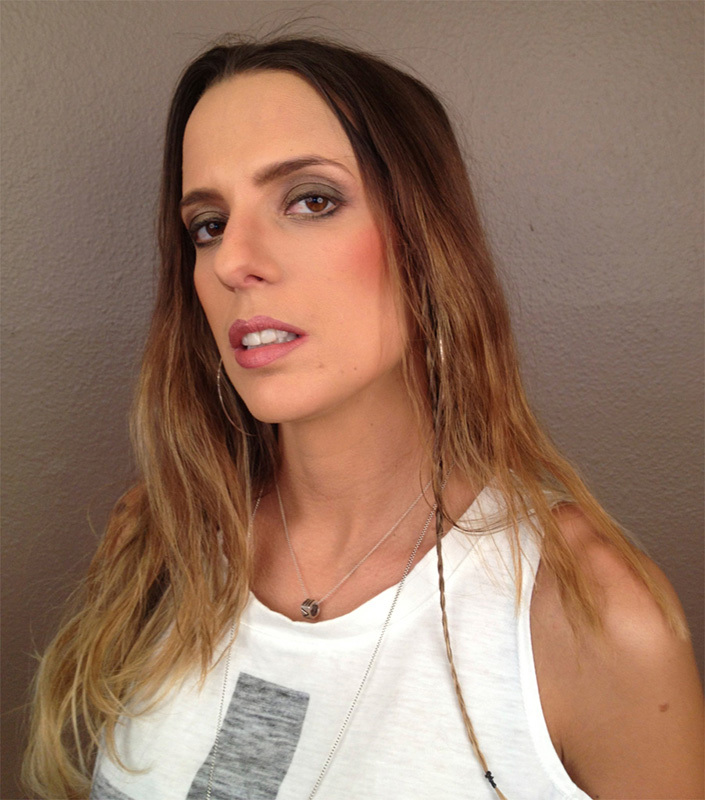 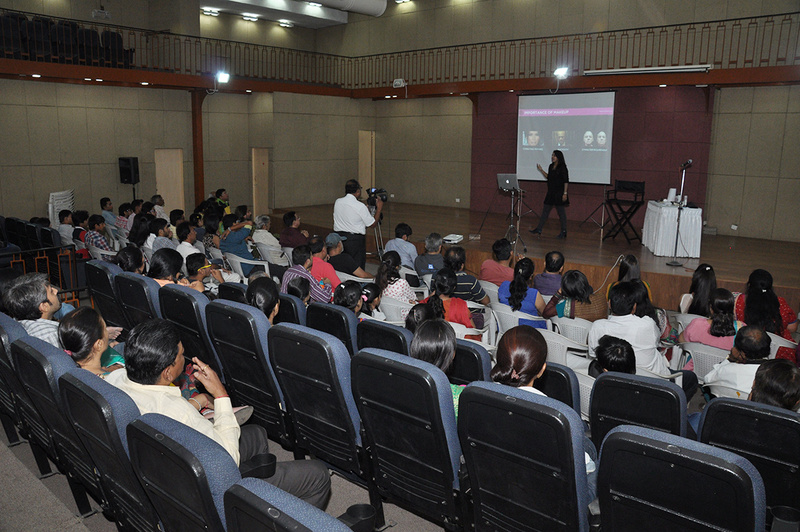 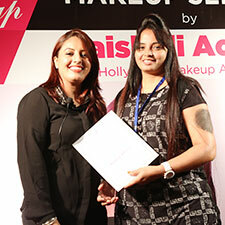 She has got In-Depth knowledge of advanced cosmetic industries and makeup artistry. 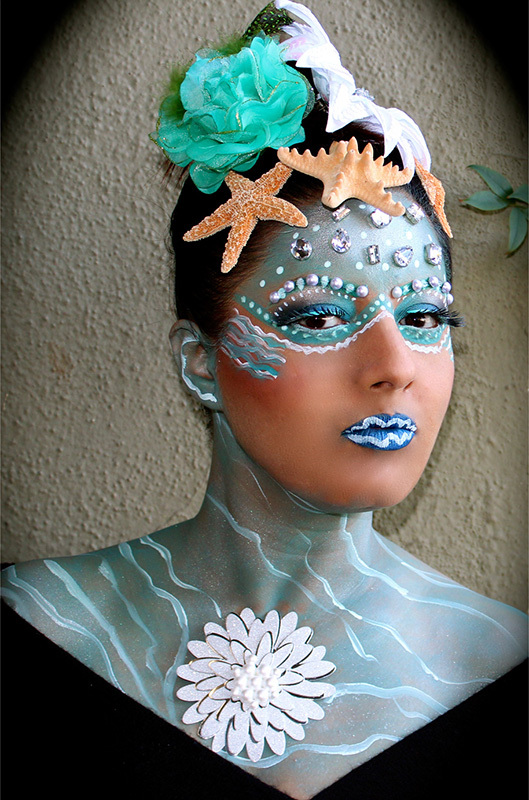 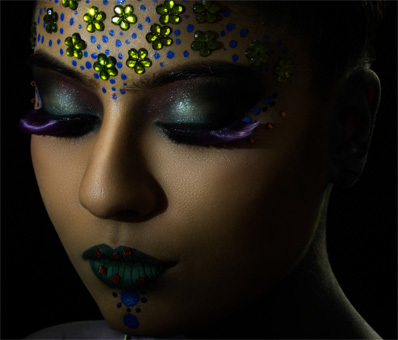 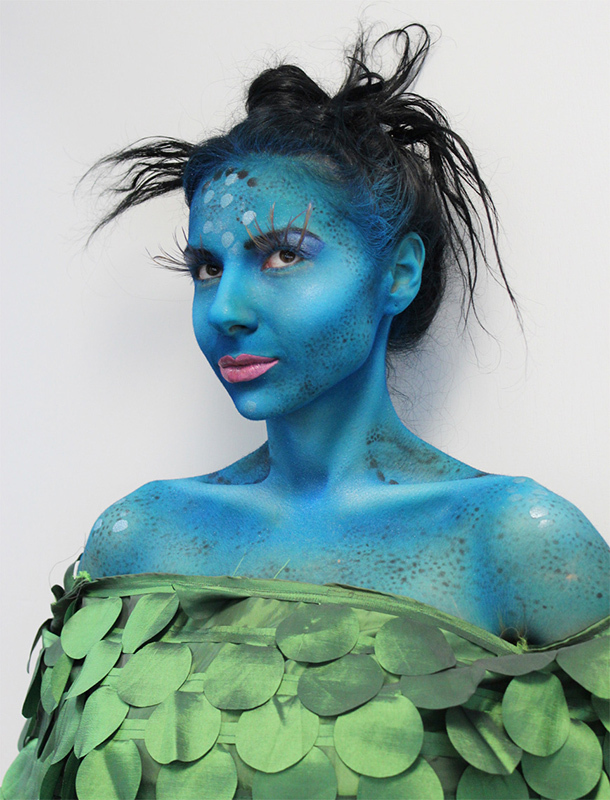 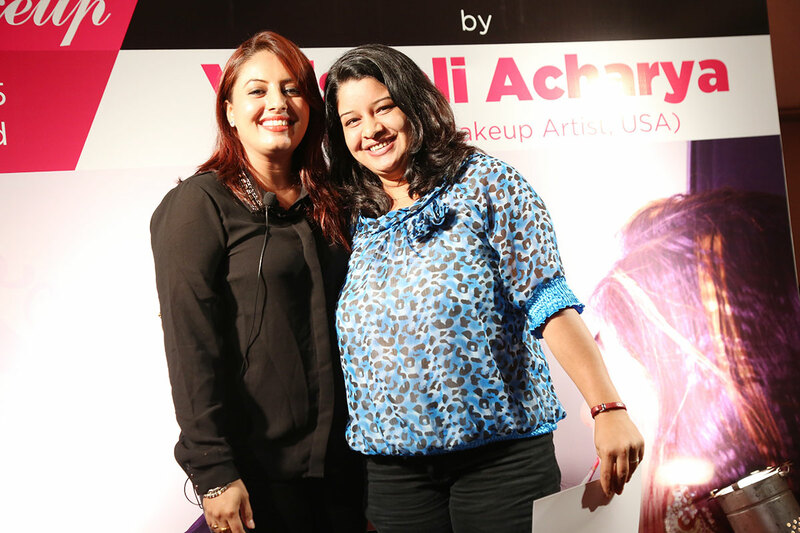 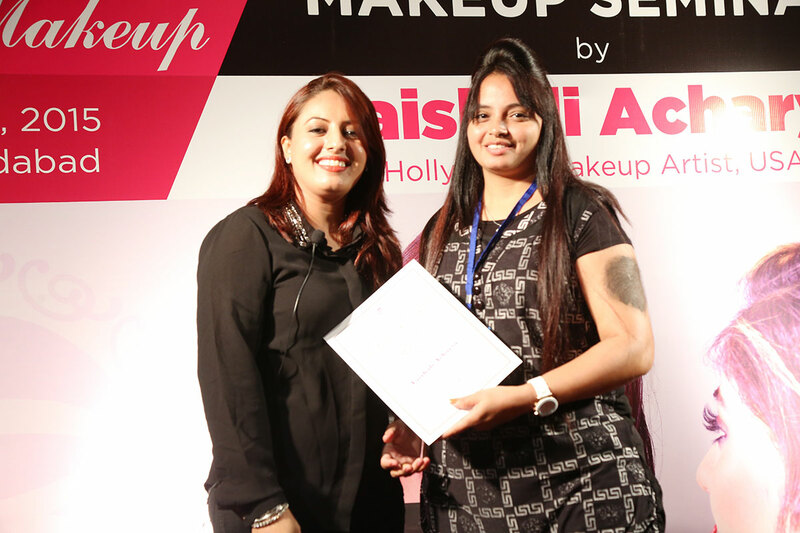 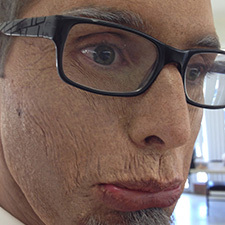 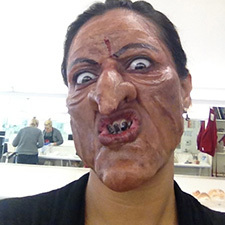 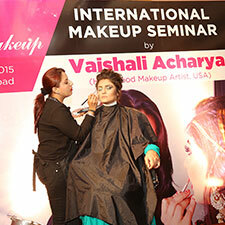 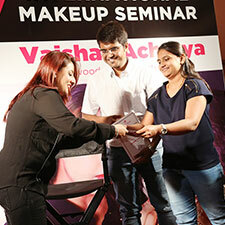 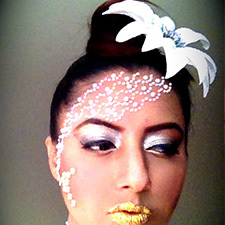 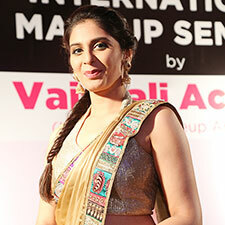 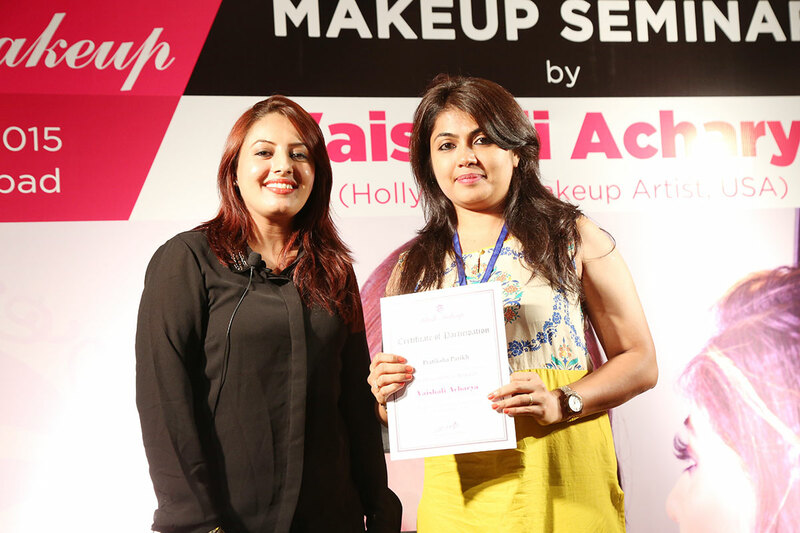 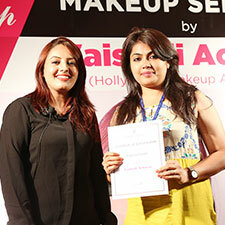 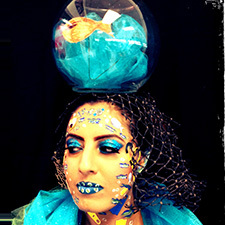 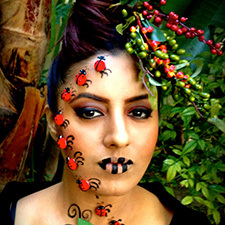 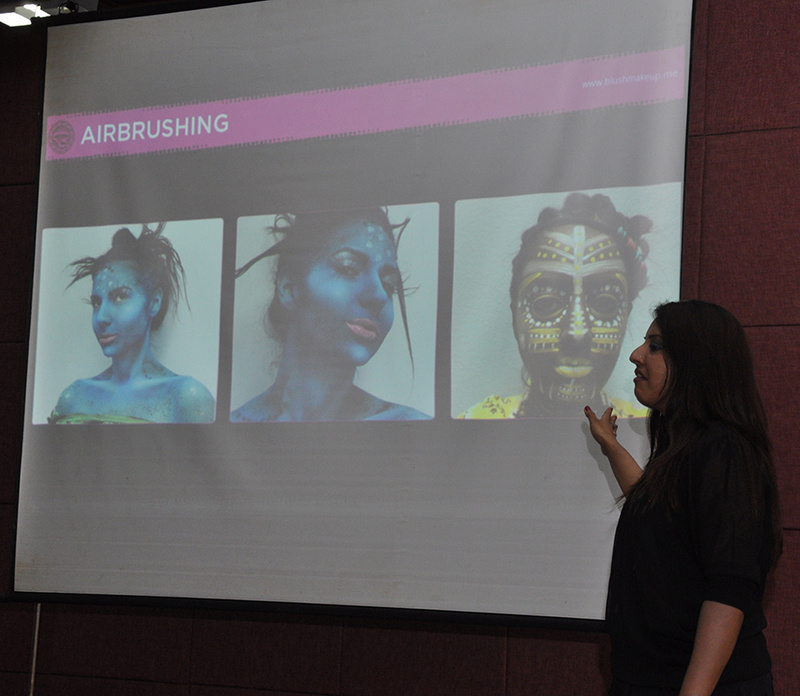 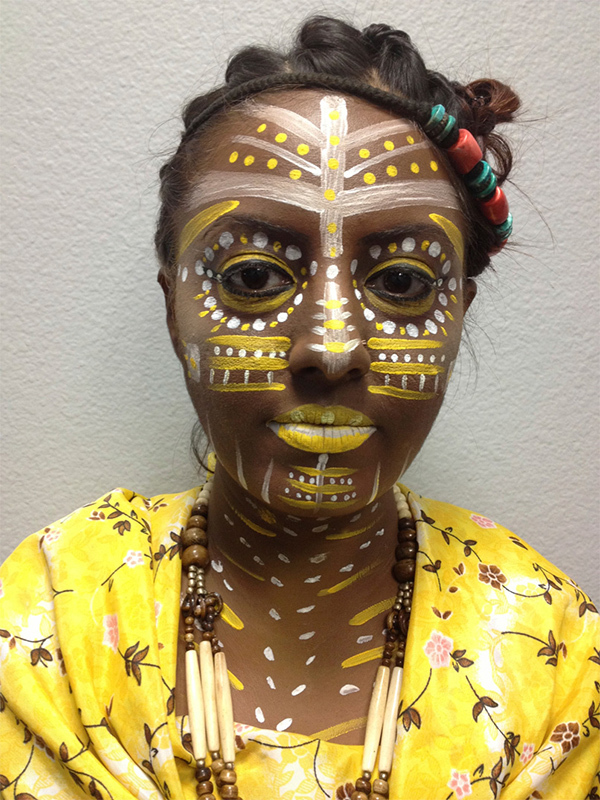 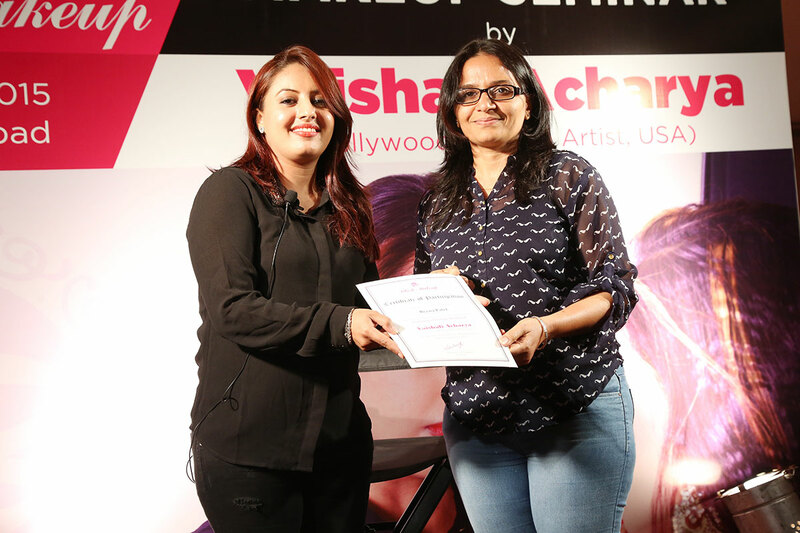 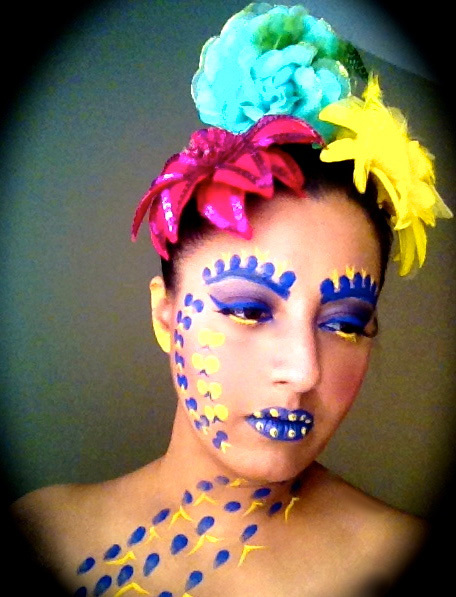 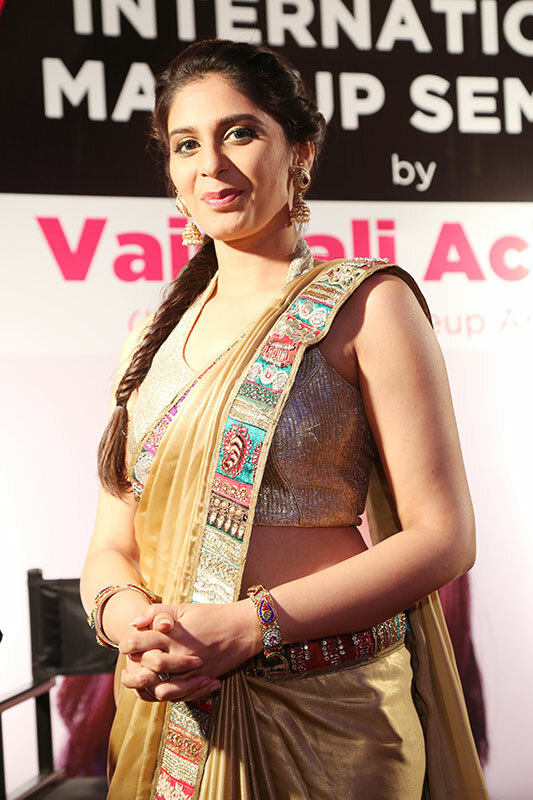 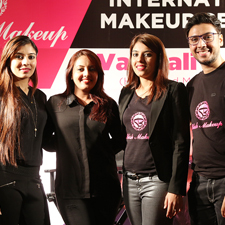 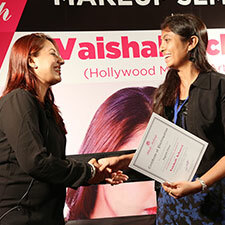 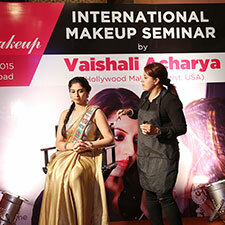 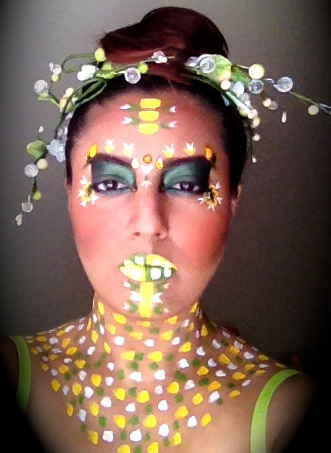 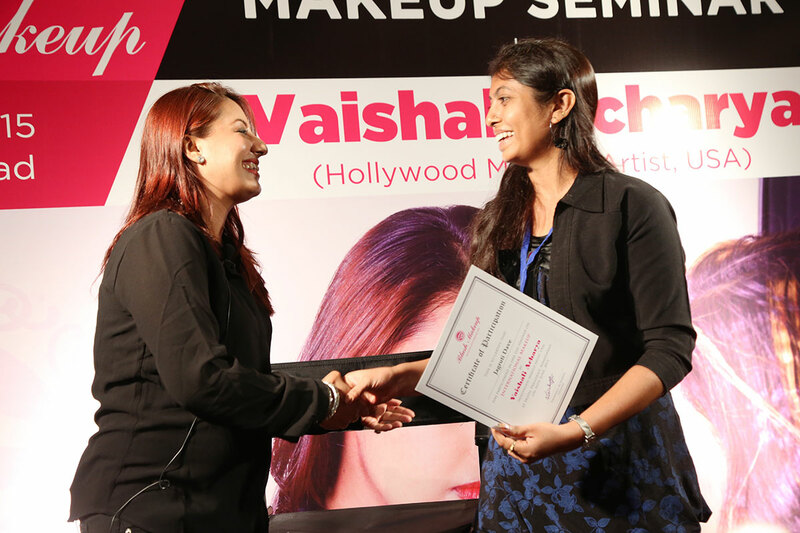 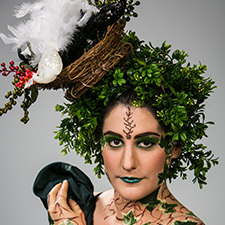 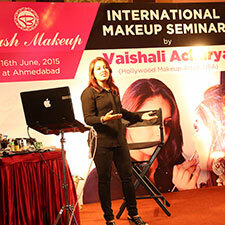 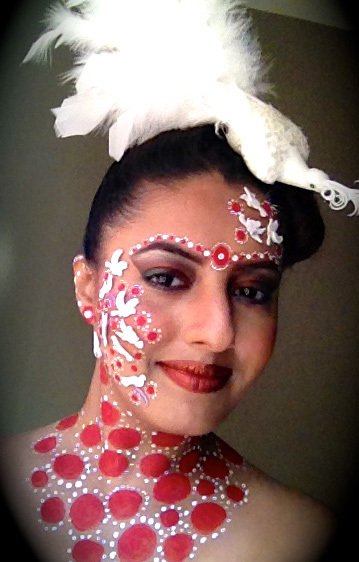 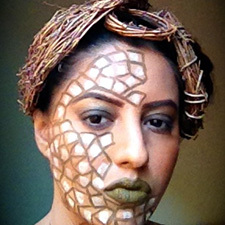 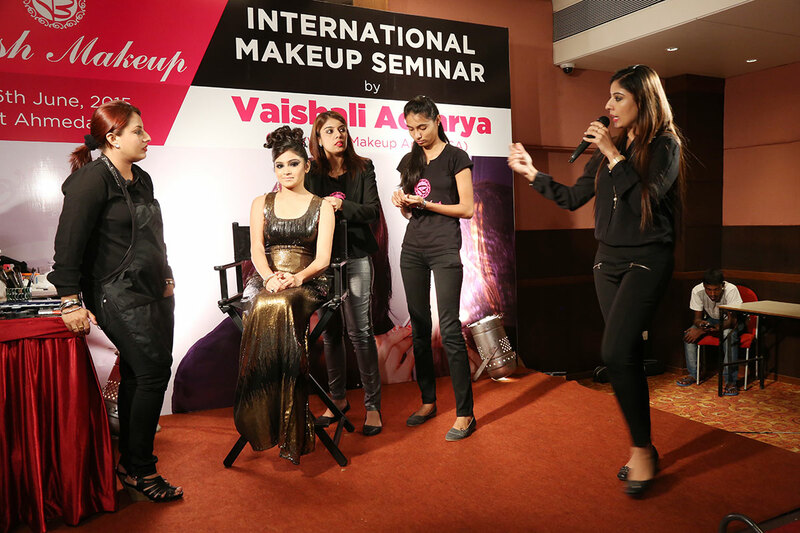 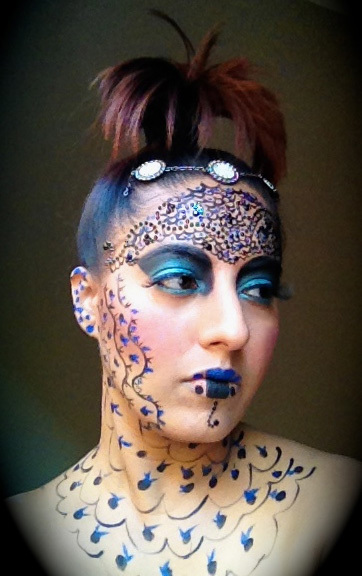 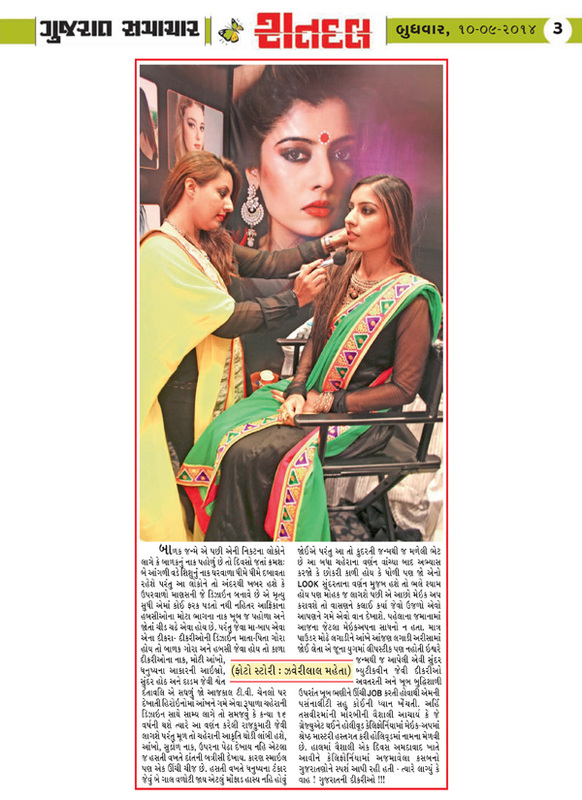 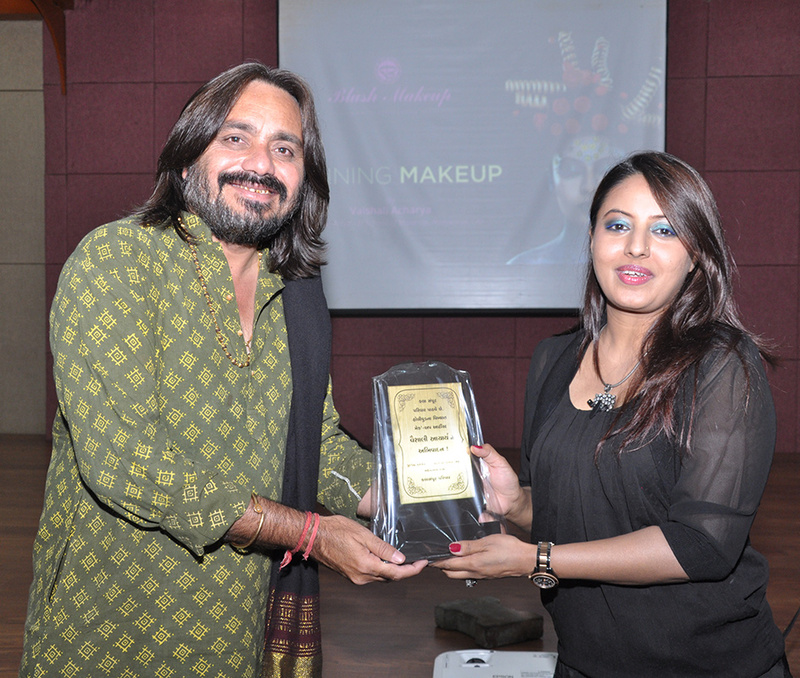 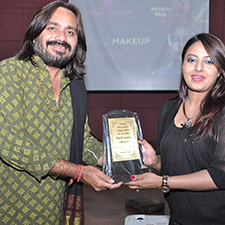 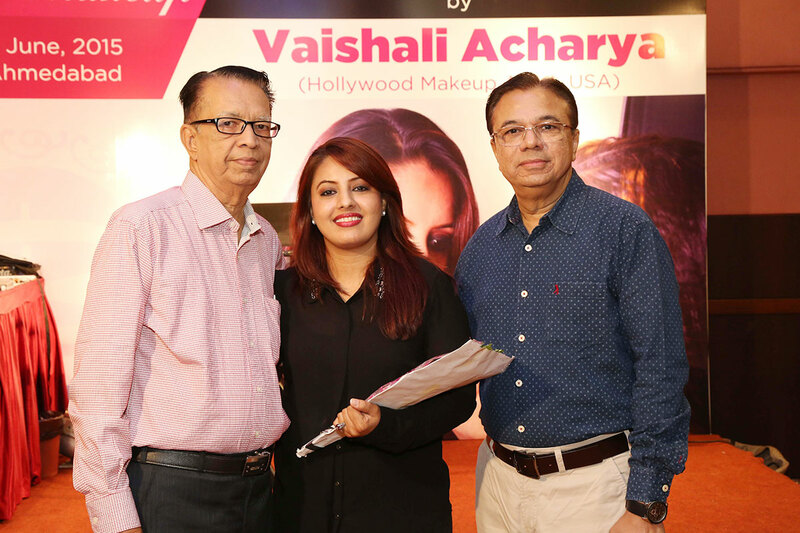 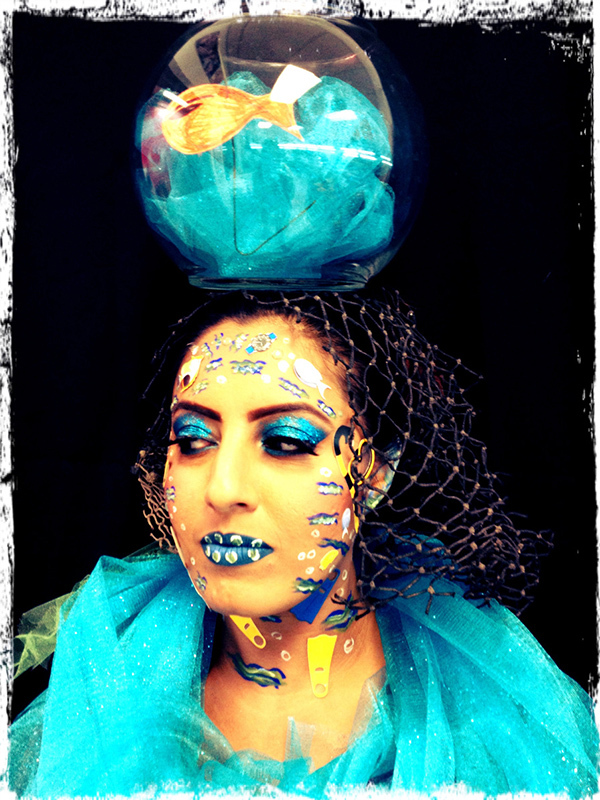 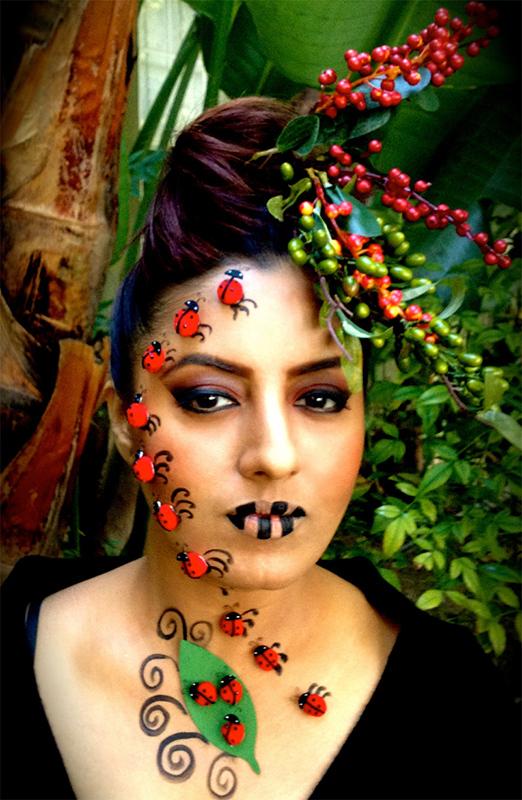 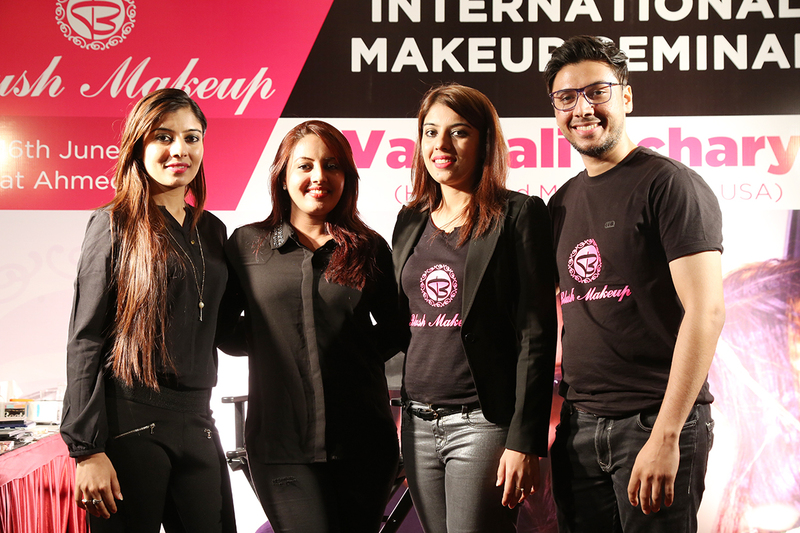 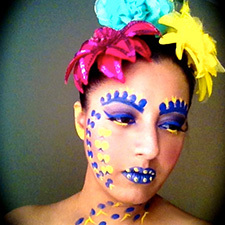 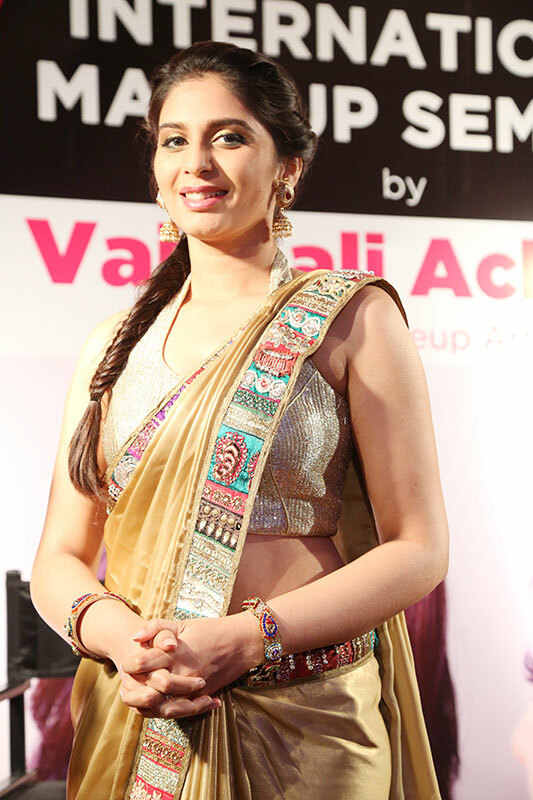 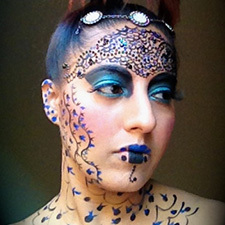 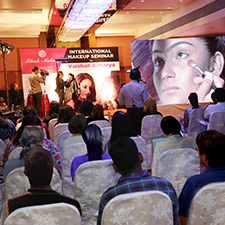 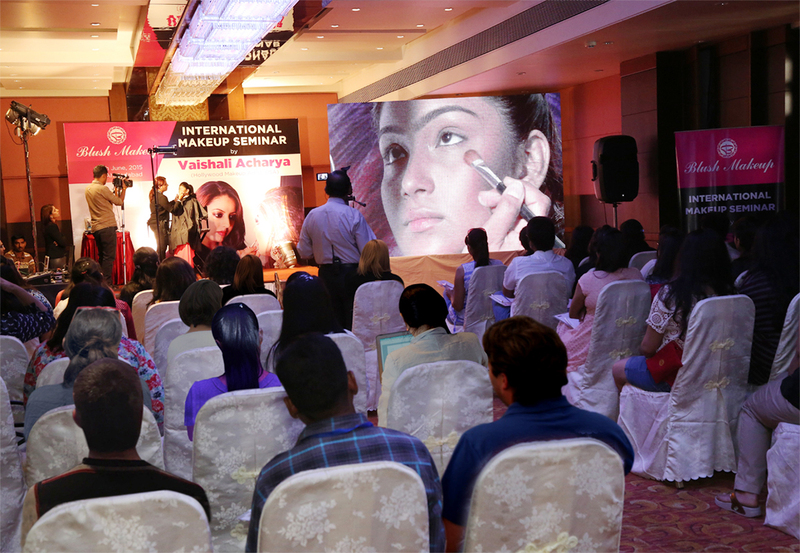 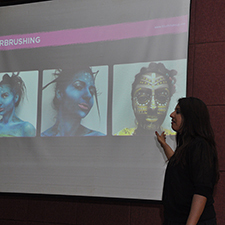 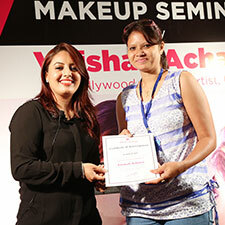 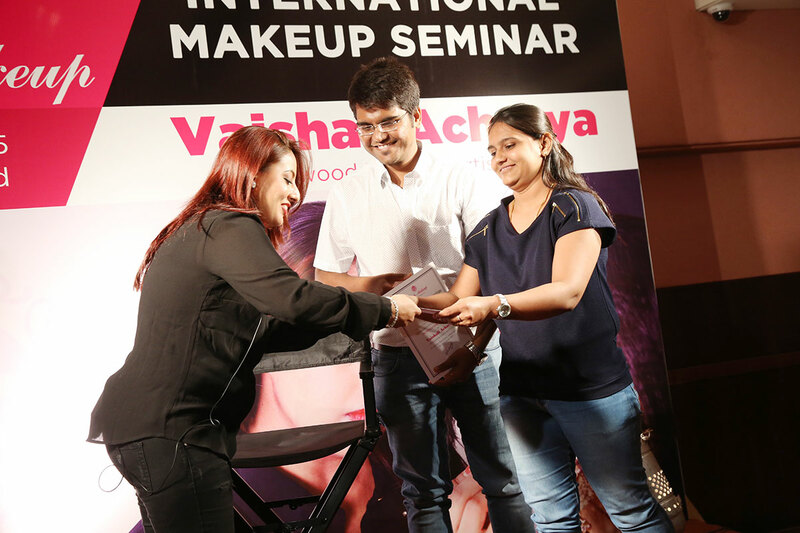 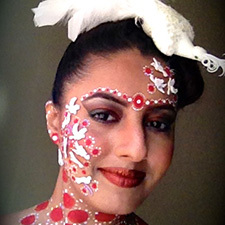 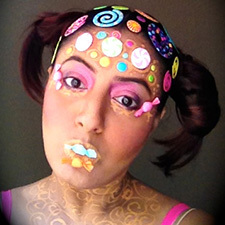 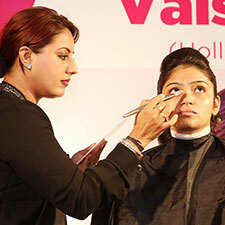 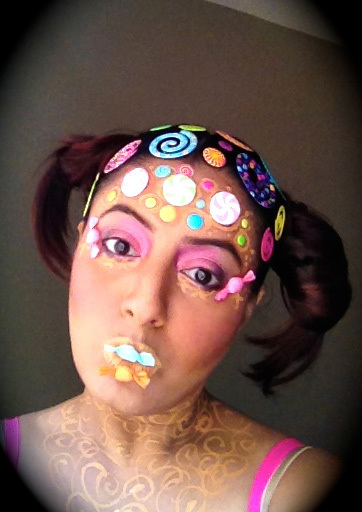 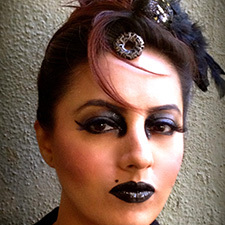 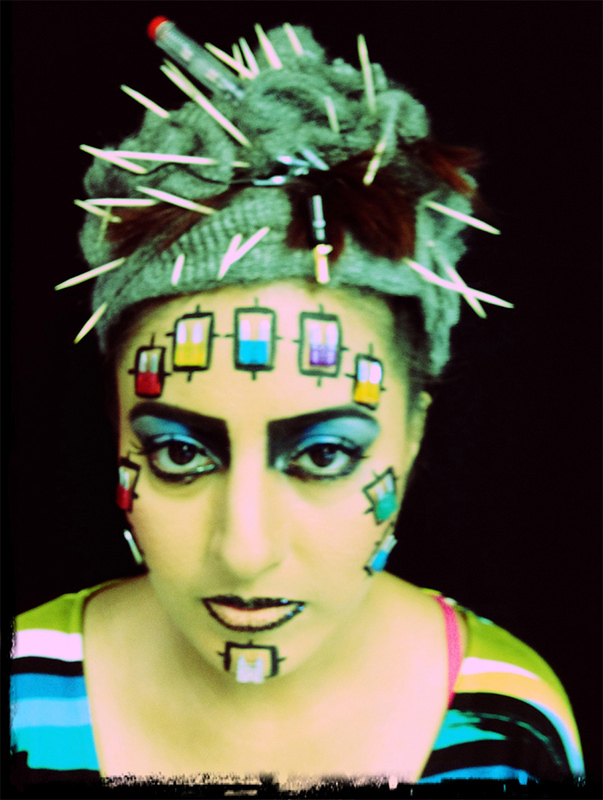 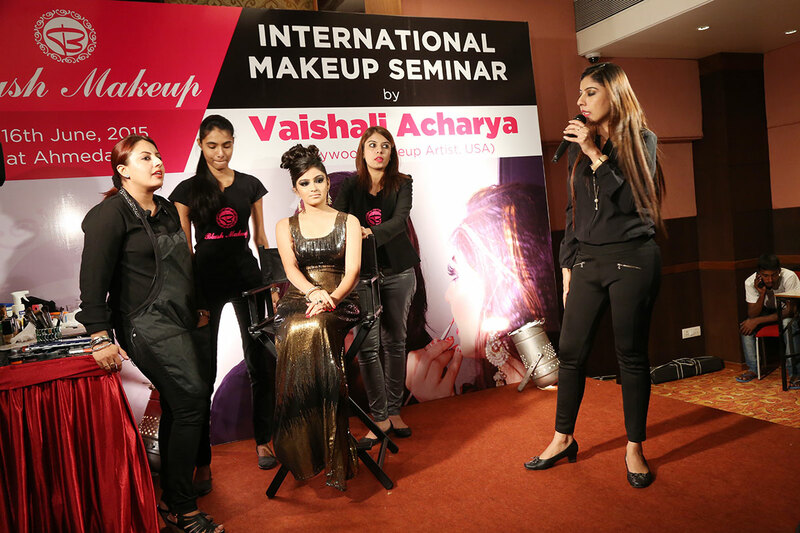 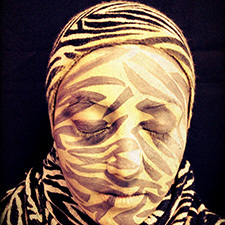 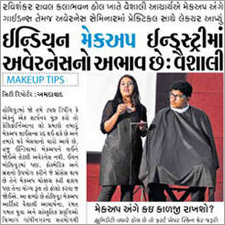 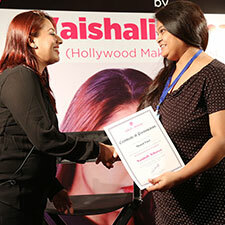 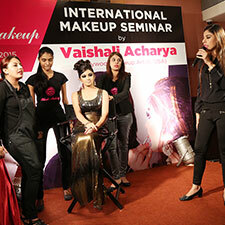 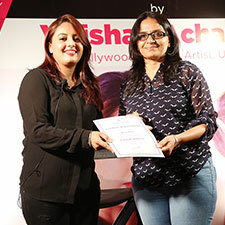 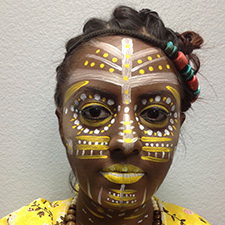 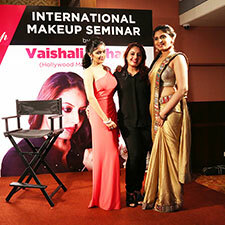 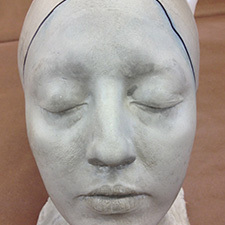 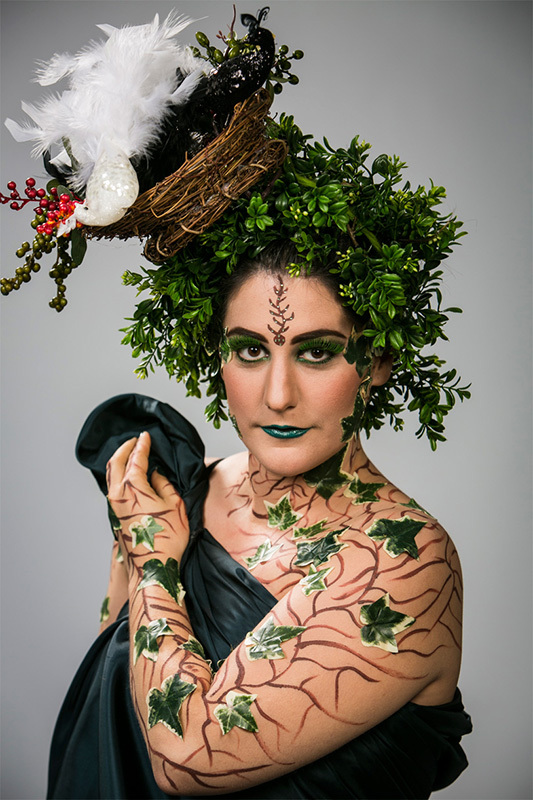 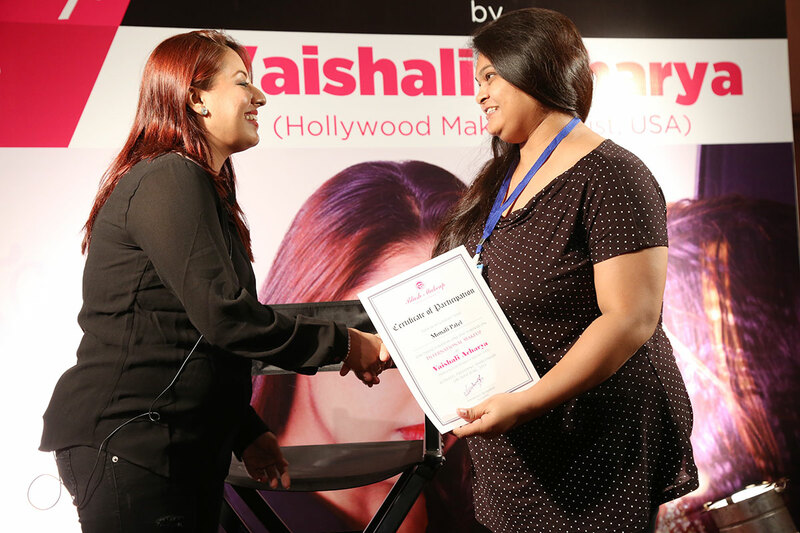 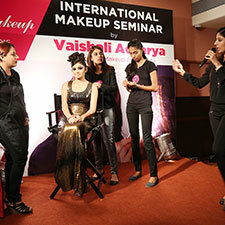 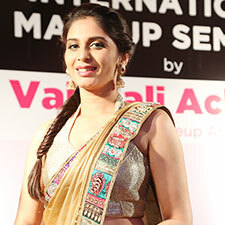 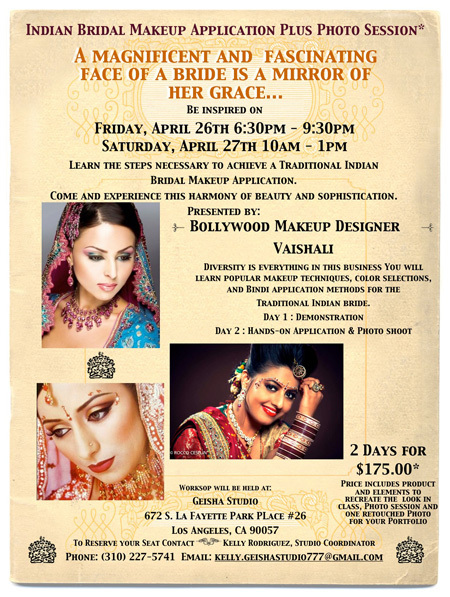 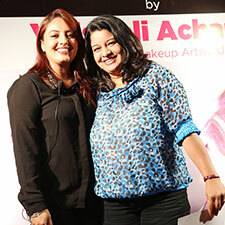 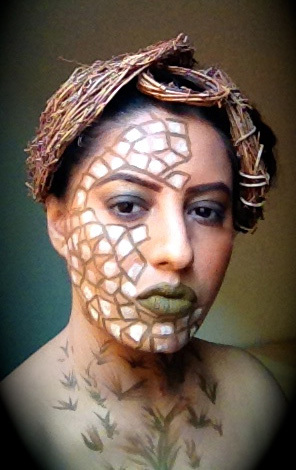 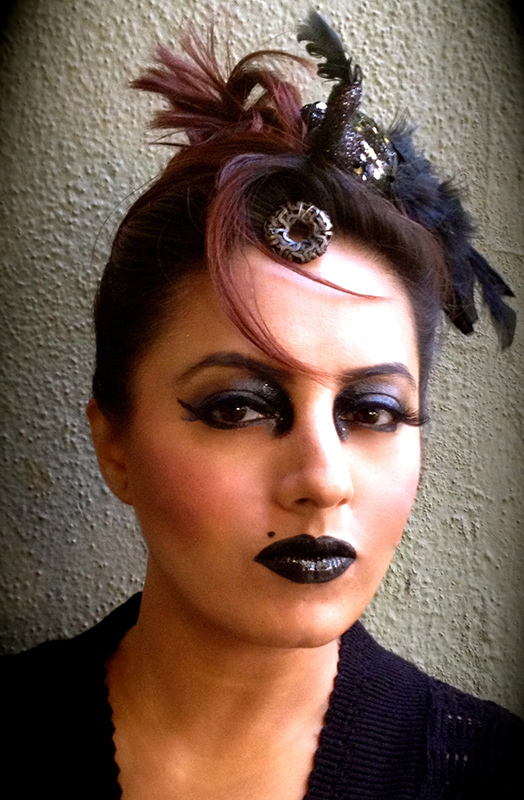 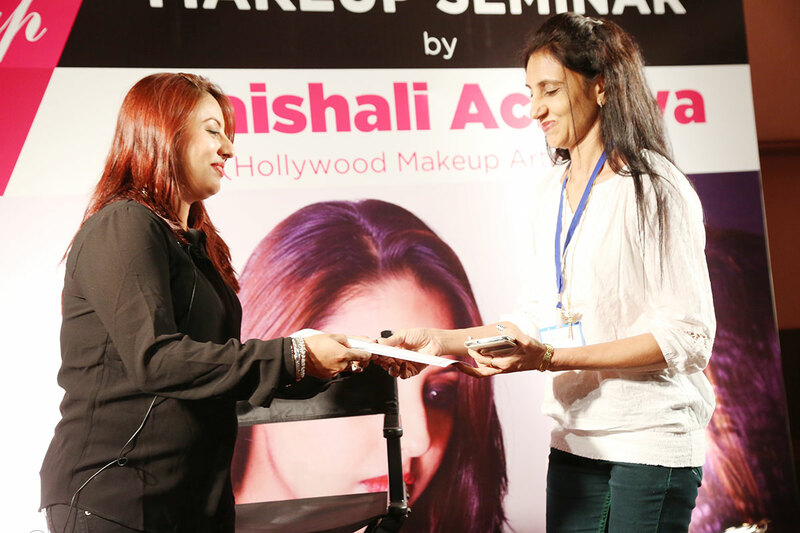 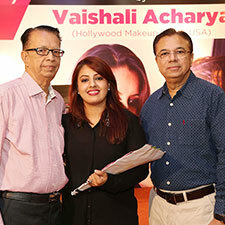 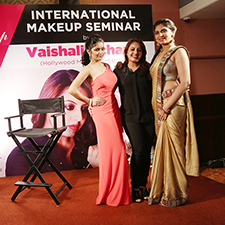 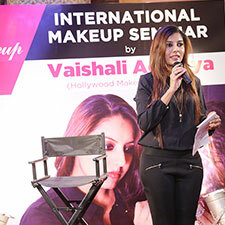 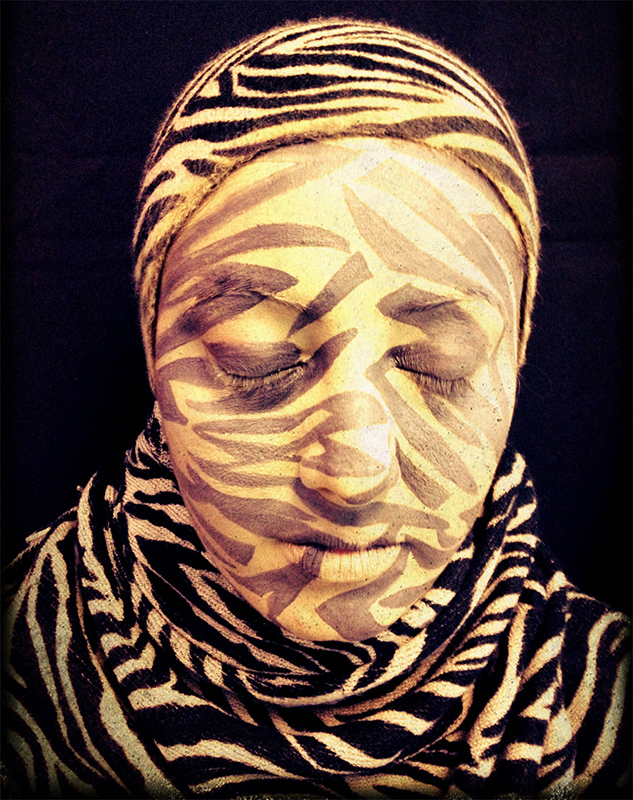 Vaishali is runner up in beauty fantasy category in IMATS Los Angeles 2012. 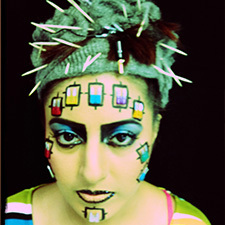 She has a unique way of interpreting her own conceptual designs. 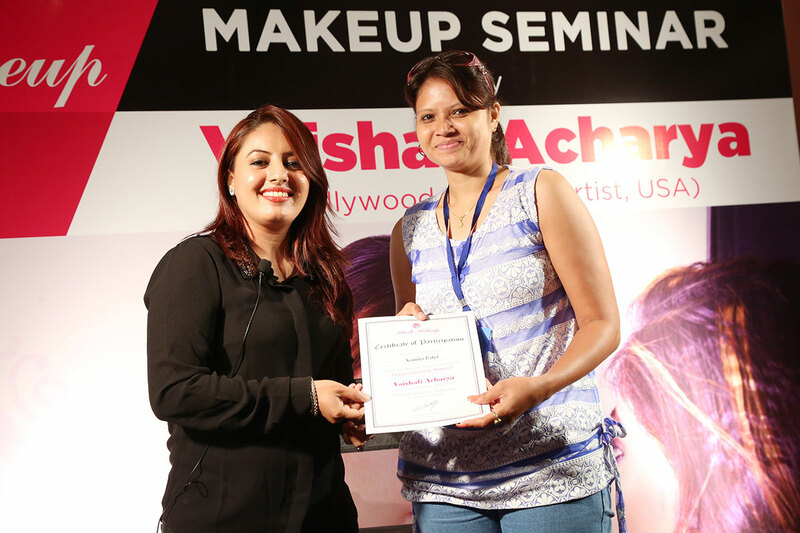 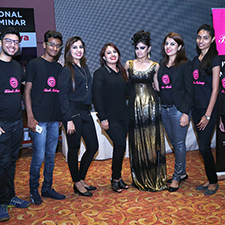 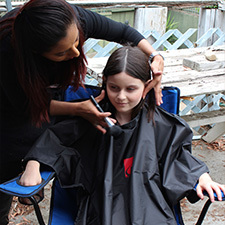 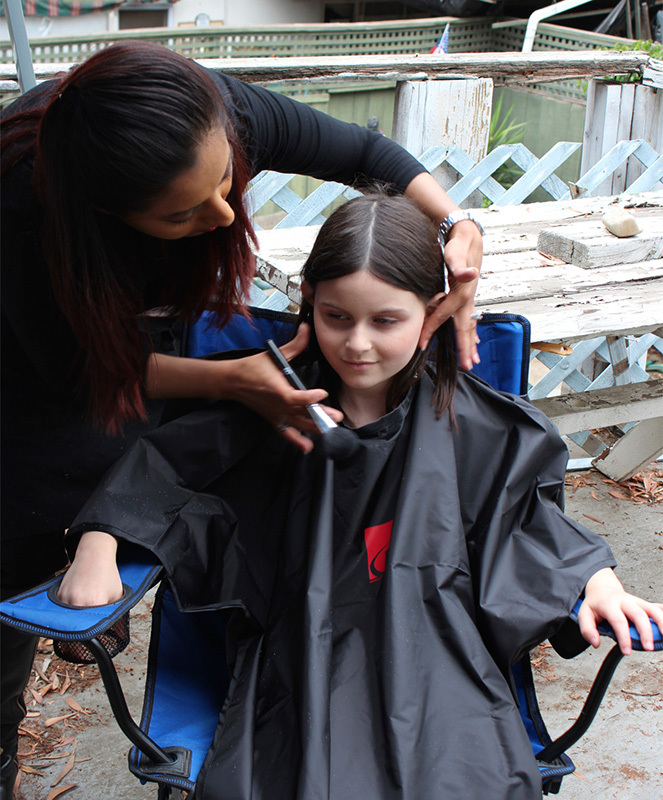 She is not only a talented makeup artist but she has taken in depth learning of hairstyling from Elegance International Hollywood, California. 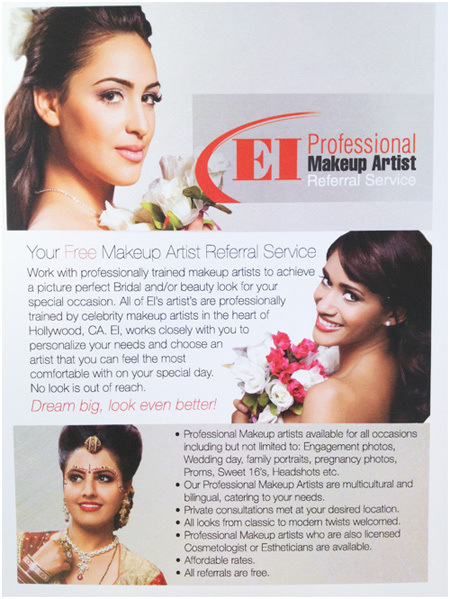 Professional Bridal Makeup Artist for EI Hollywood, CA. 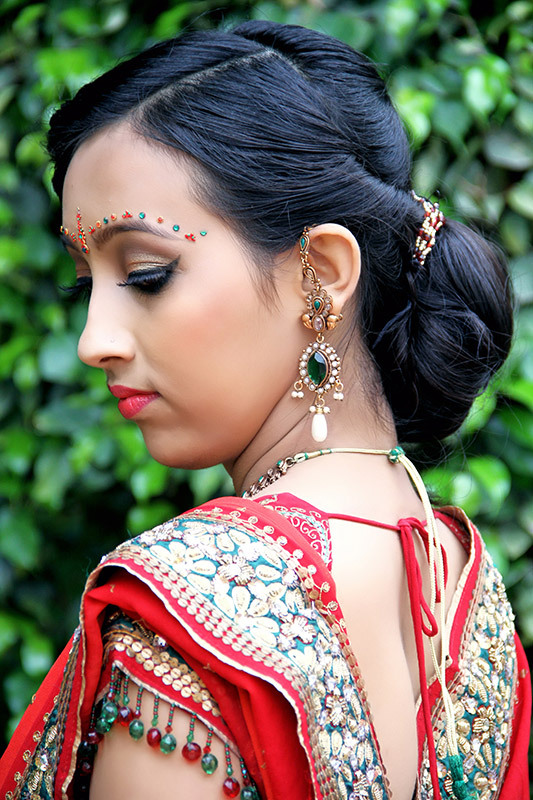 Professional Bridal Makeup Artist for Los Angeles. 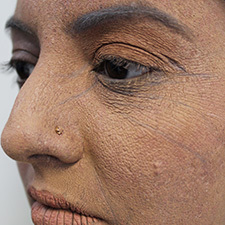 Everyone's skin texture and skin type is different. 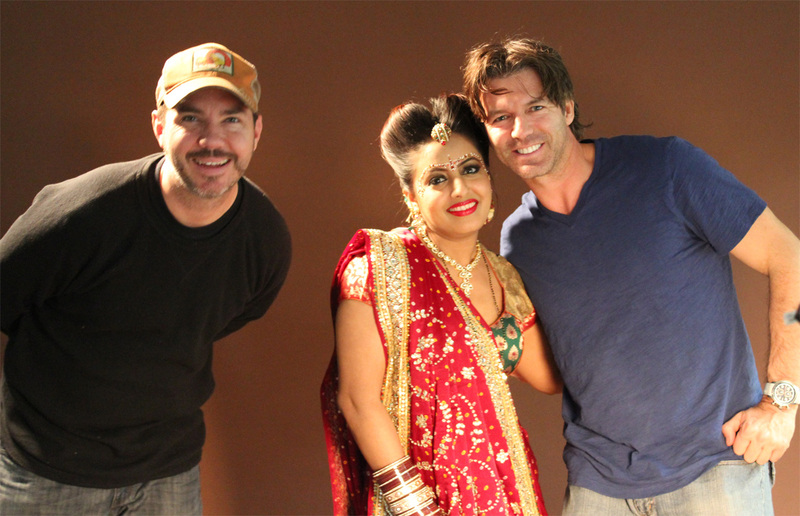 Also we all have different variety of skin tone. 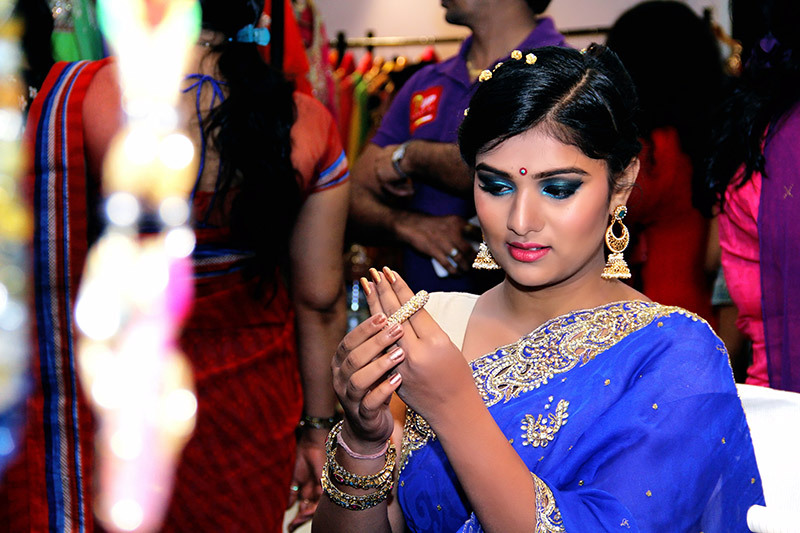 Choosing right foundation for the skin as per right undertone and skin type, is highly essential. 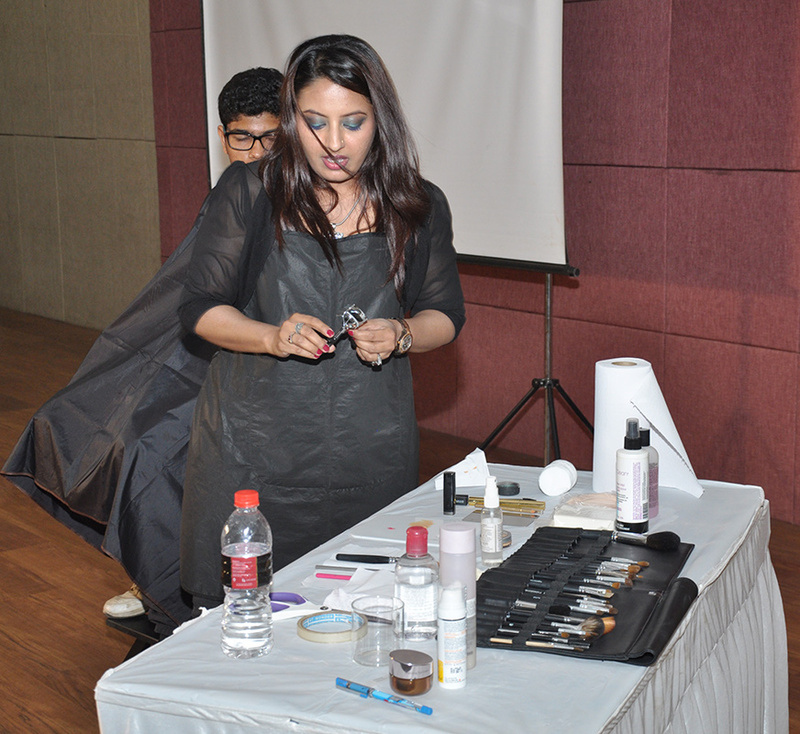 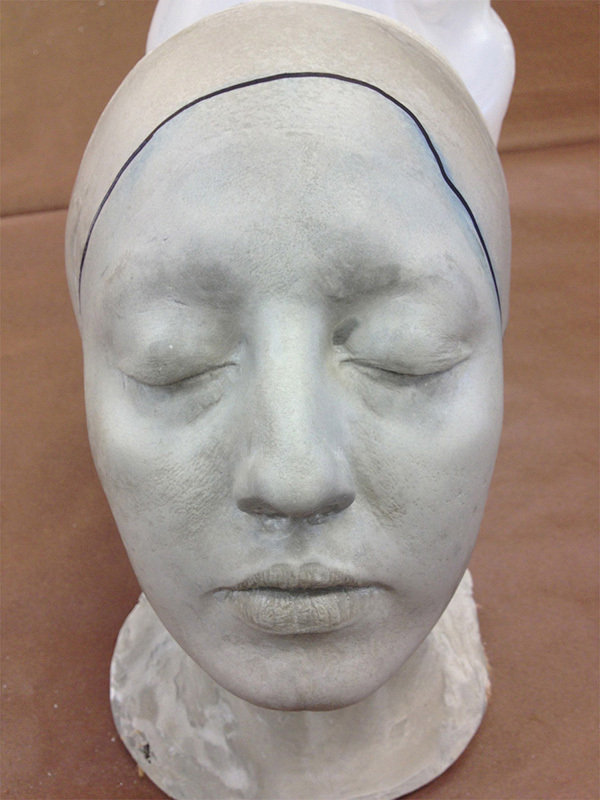 On flawless and super perfect skin mineralize foundations work very well. 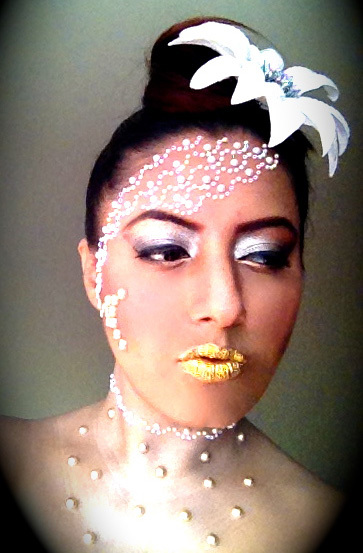 MAC mineralize liquid foundations. 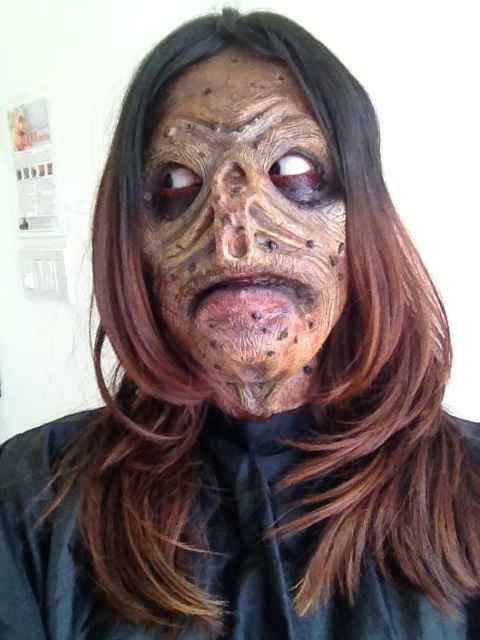 It works very well on flawless skin. 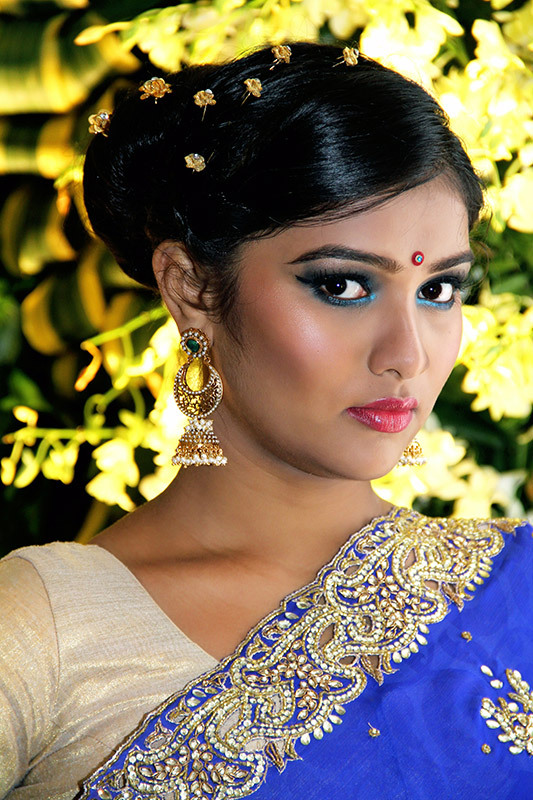 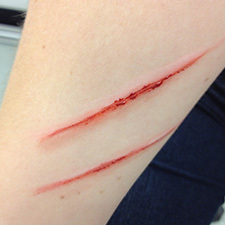 It gives natural look with medium coverage. 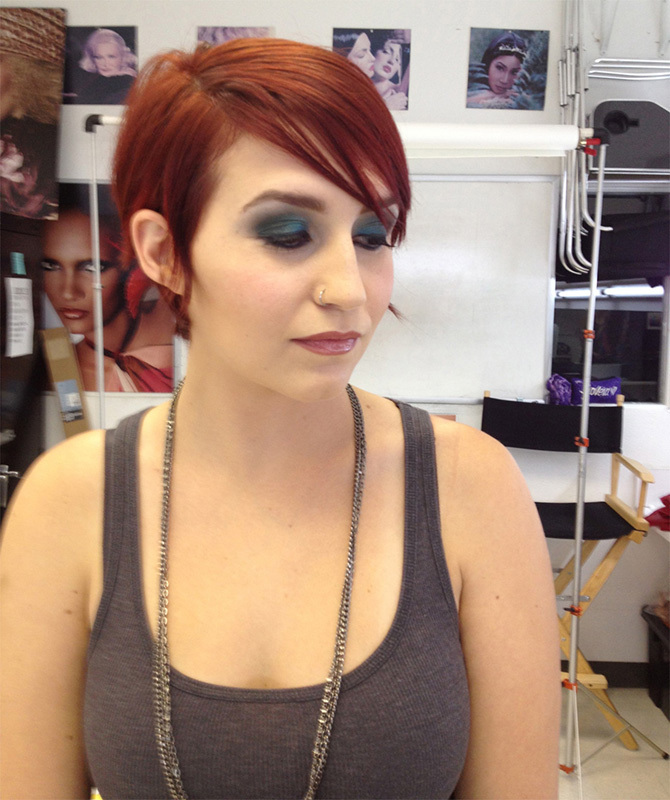 This foundation can be set with MAC studio fix powder. 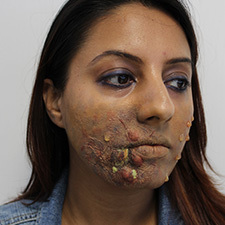 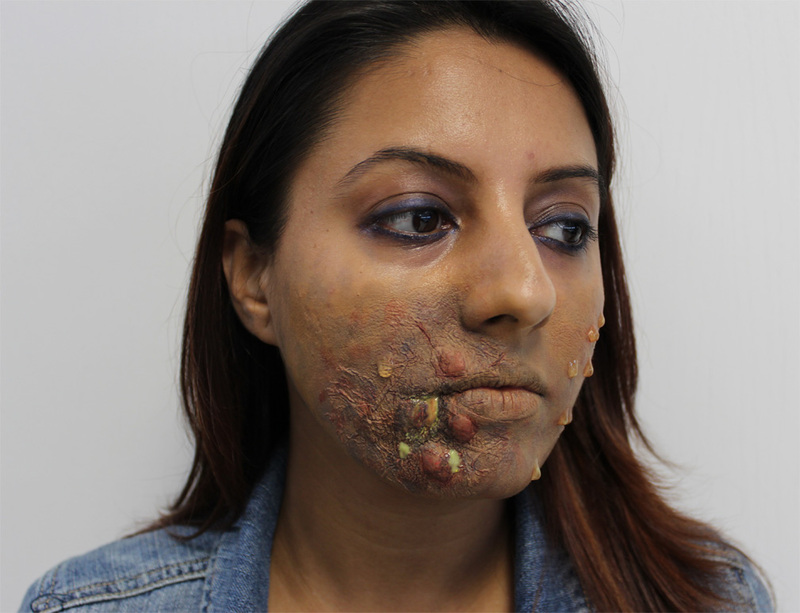 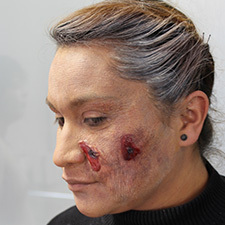 On pimple prone skin MAC studio sculpt foundations works best. 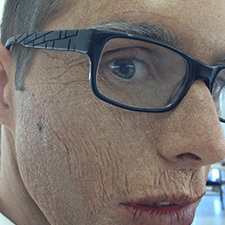 Its gel based foundations. 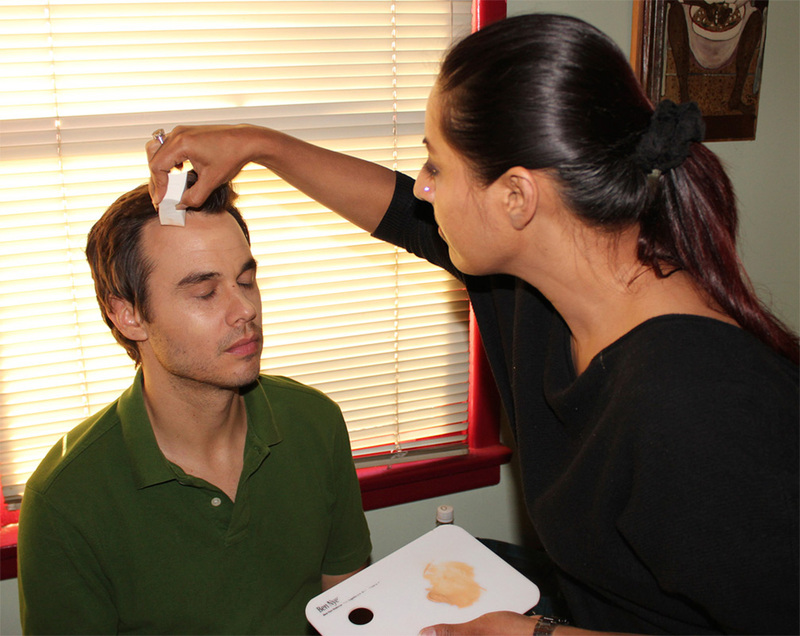 Gel sets into the pores and fill the gap. 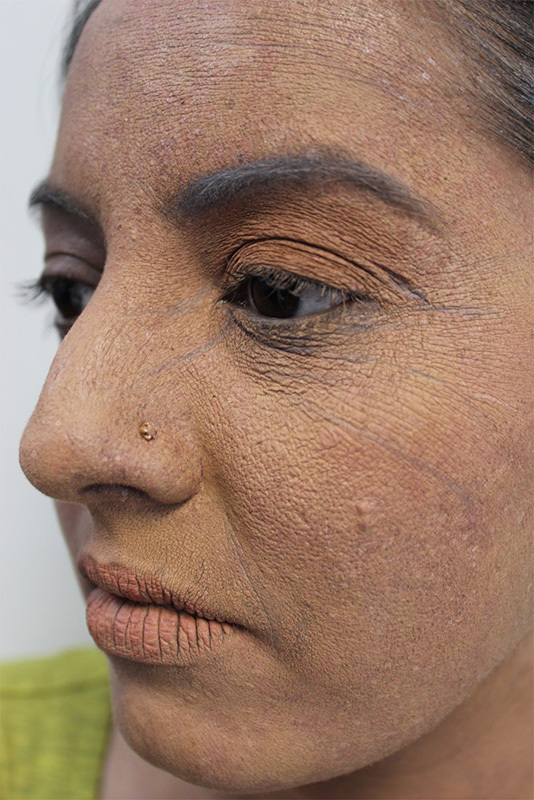 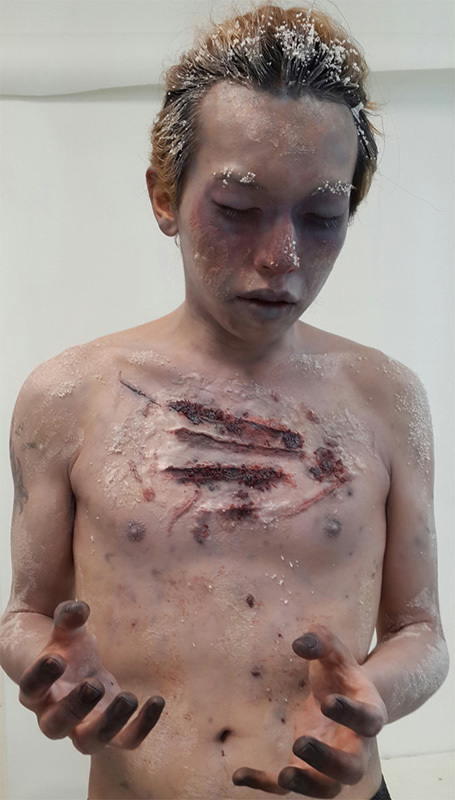 So the skin looks more even and well textured. 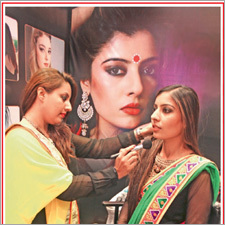 Also for uneven and pimple prone skin primers are must. 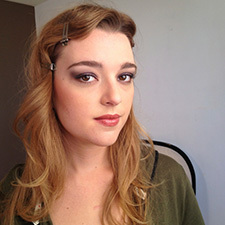 These foundations can be set with MAC transparent finishing powder. 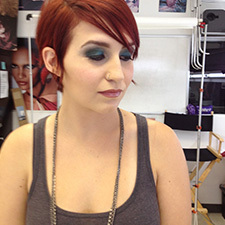 Makeup forever also have HD neutral powders which works well on top of that. 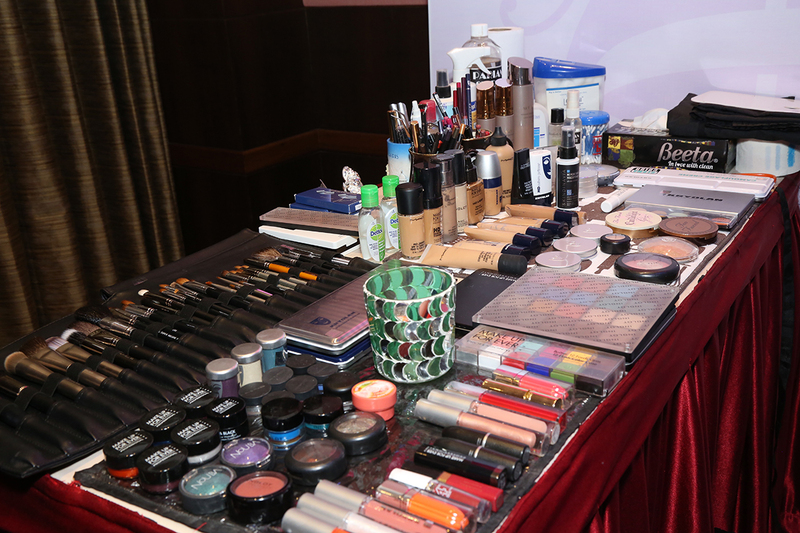 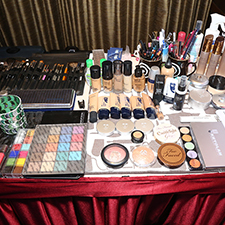 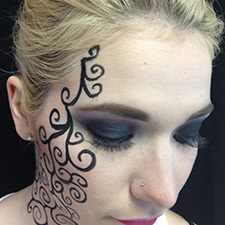 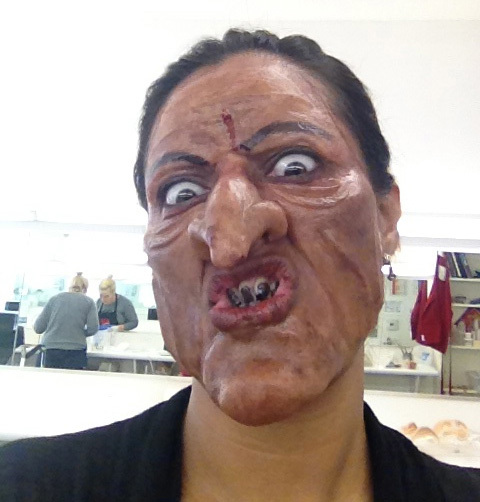 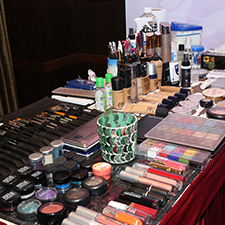 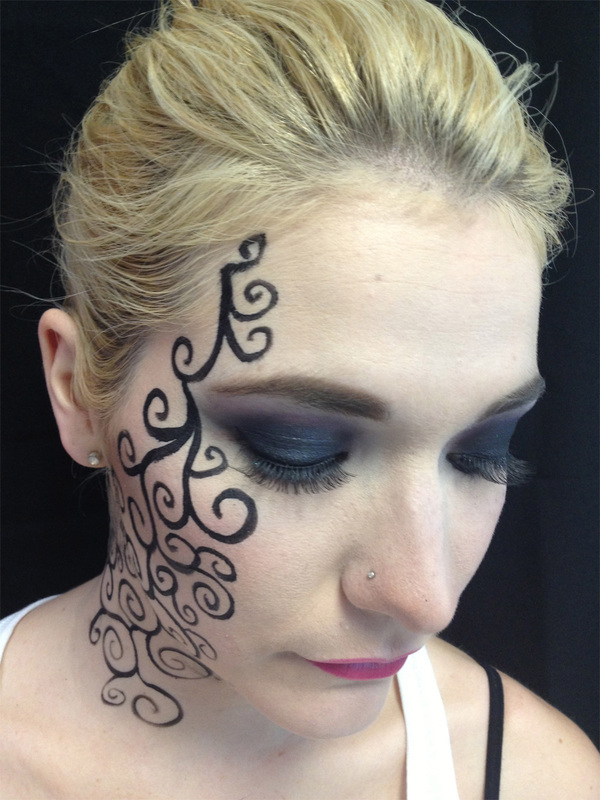 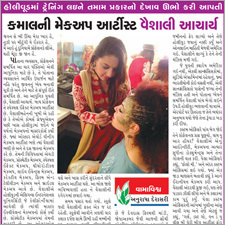 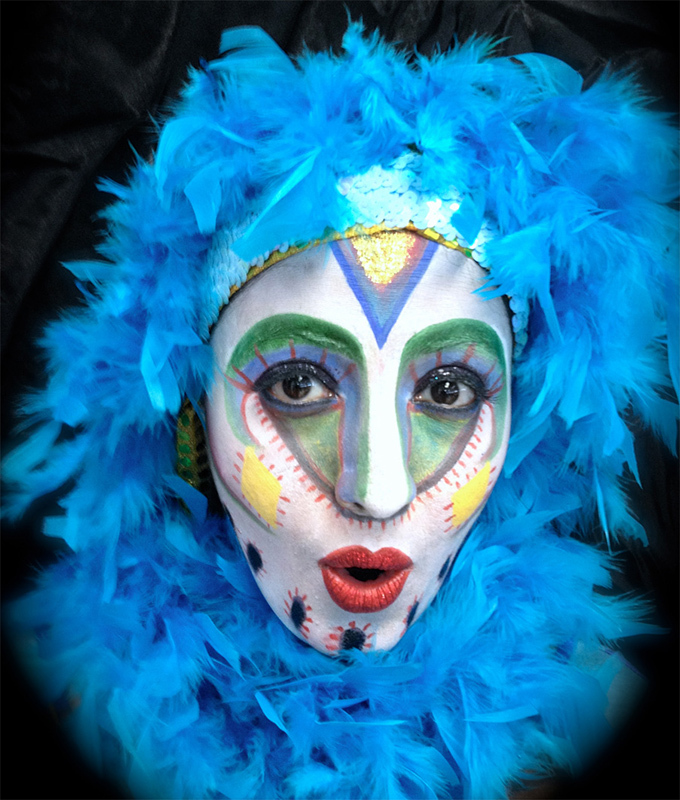 For performers, bride, airlines crew etc, they need their makeup to last for longer hour. 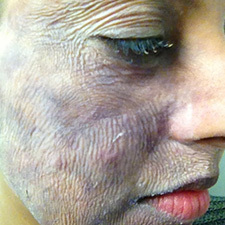 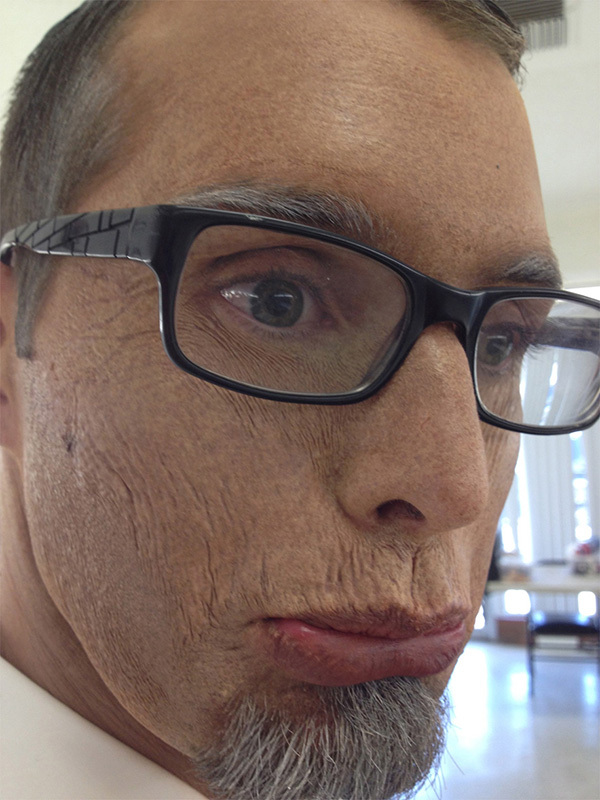 For that MAC prolong wear foundations are good. 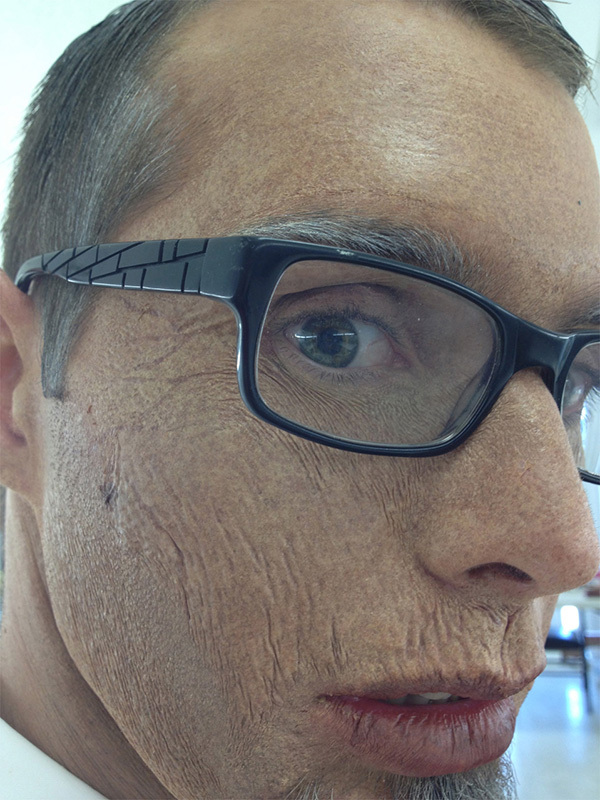 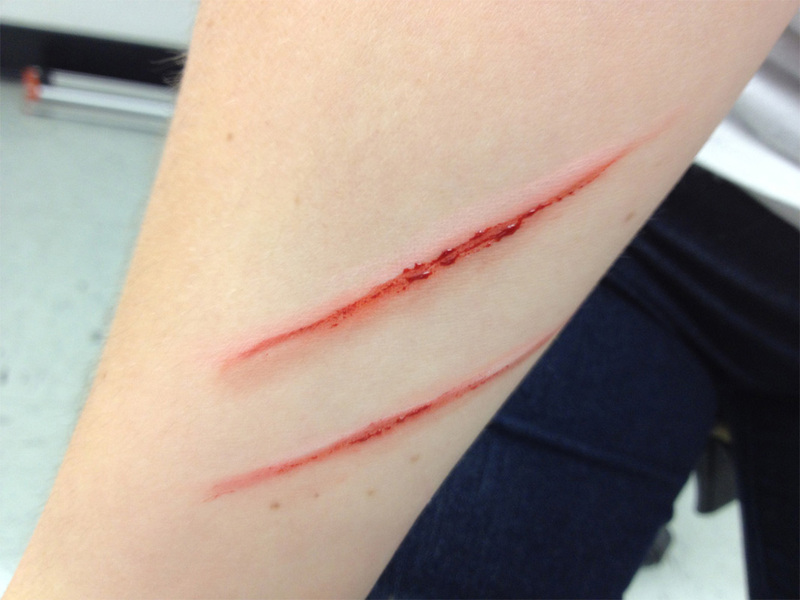 It lasts up to 14 to 17 hours. 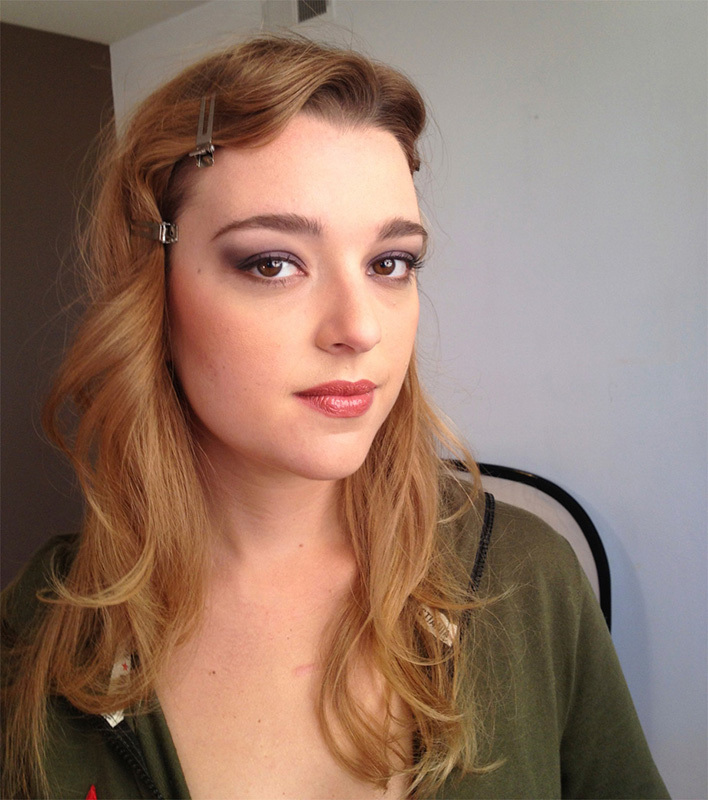 They have awesome prolong wear cancelers which is my personal favorite. 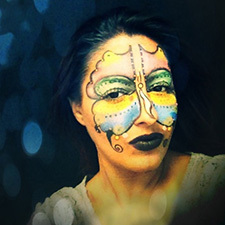 Copyright © 2019 Blush Makeup Designed by AVI Web Solutions.